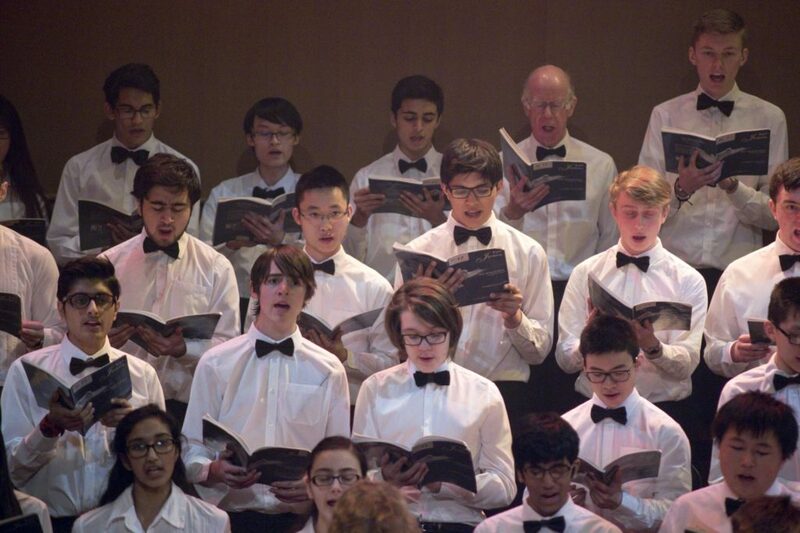 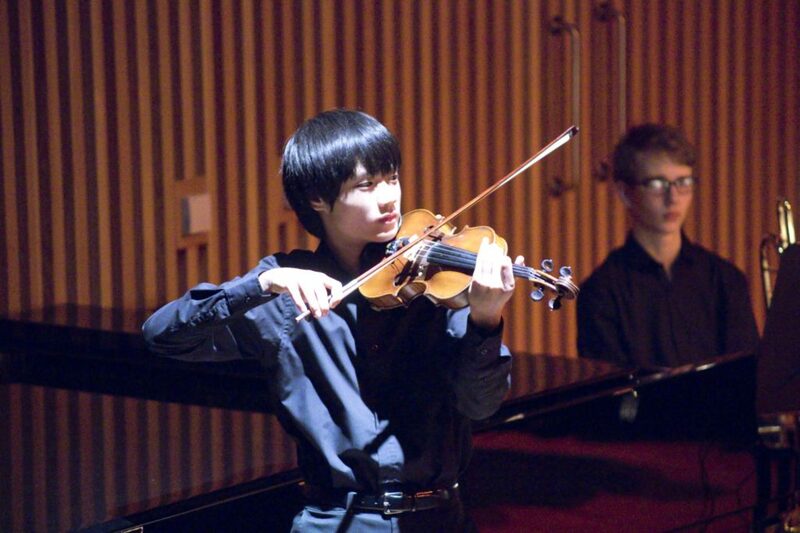 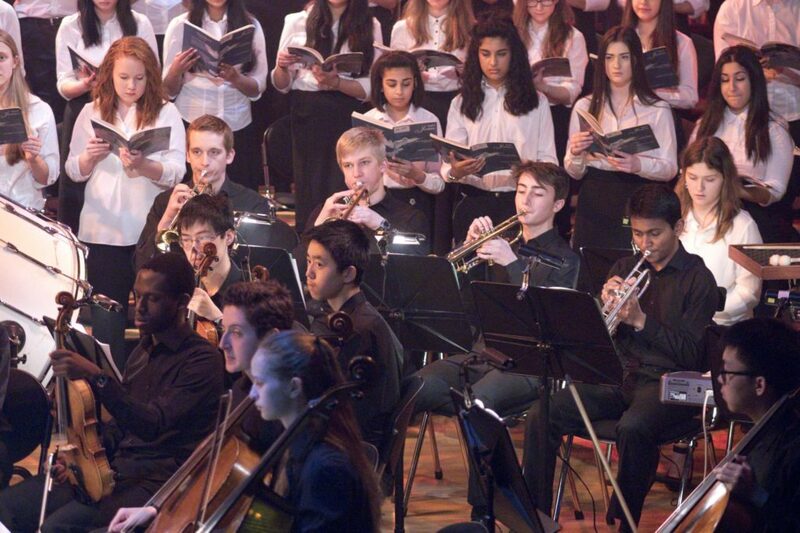 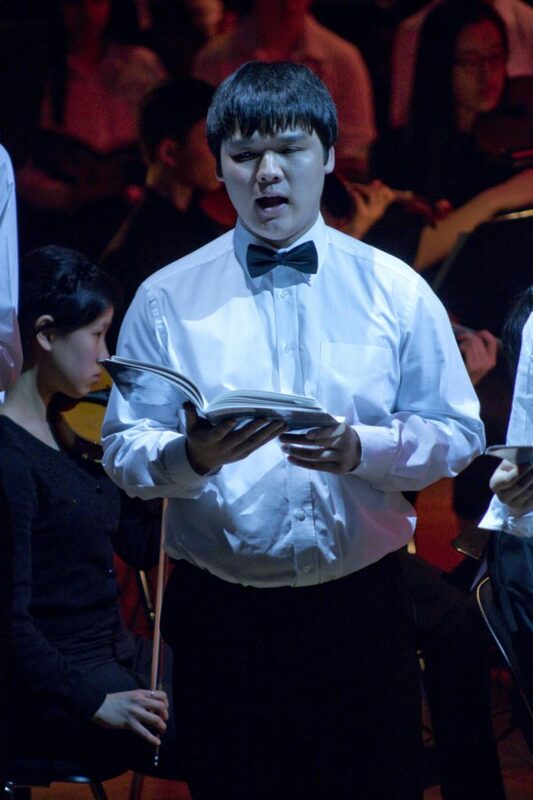 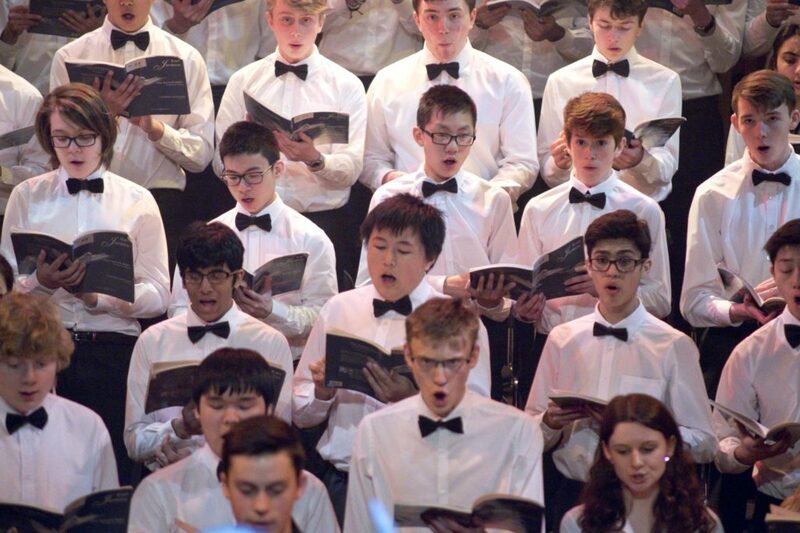 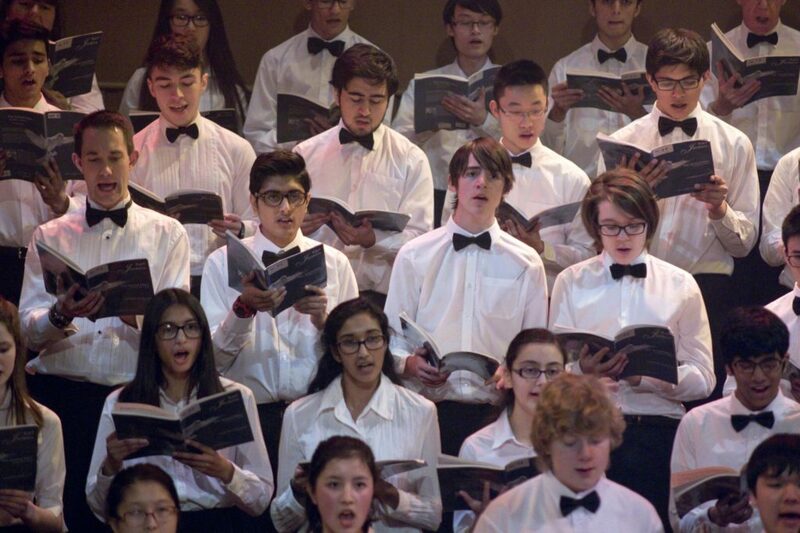 There is a great musical tradition at King Edward’s and a wealth of musical opportunities for boys to take part in. 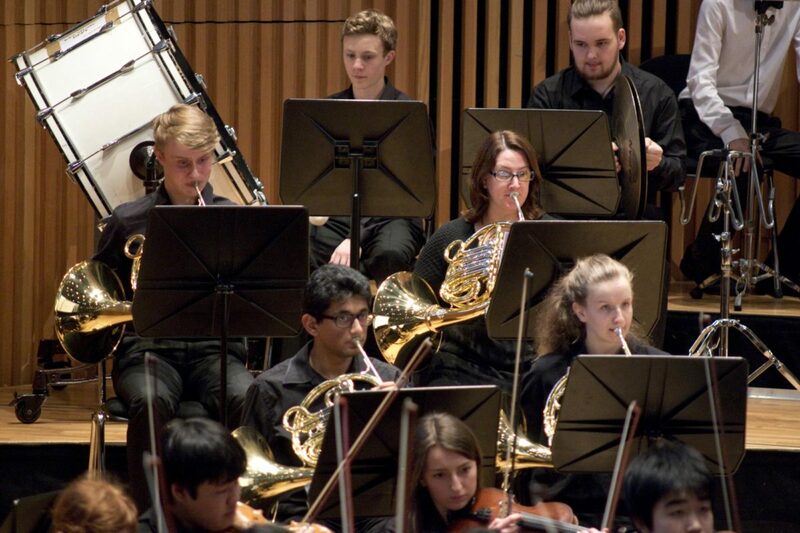 The scale, quality and ambition of our music is extraordinary and the Ruddock Performing Arts Centre provides professional-standard facilities in which to rehearse and perform. 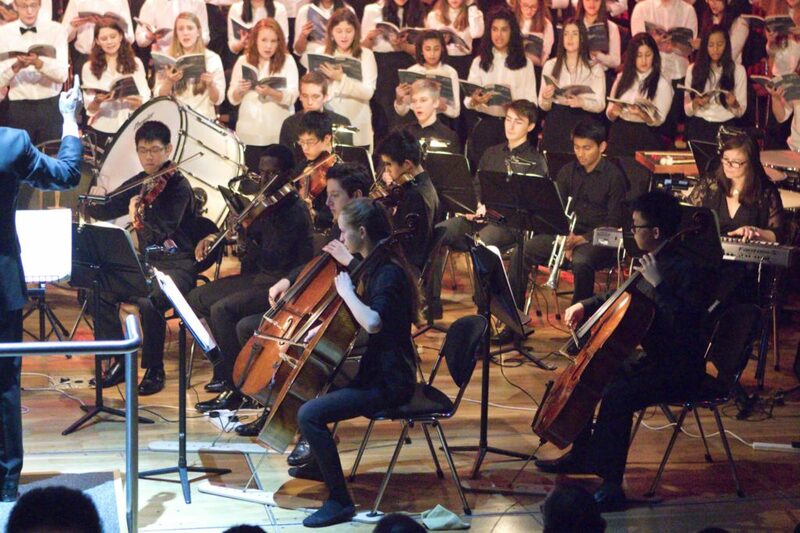 During any particular week at KES the amount of music being performed and indeed written is little short of remarkable. 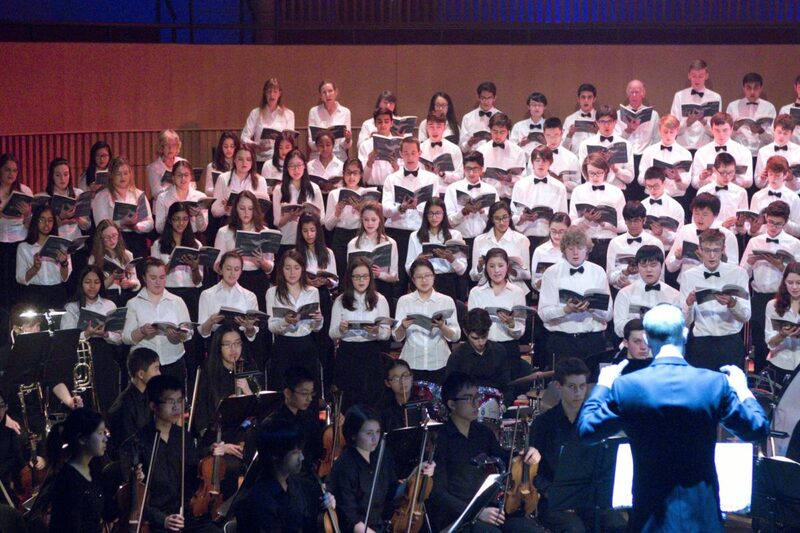 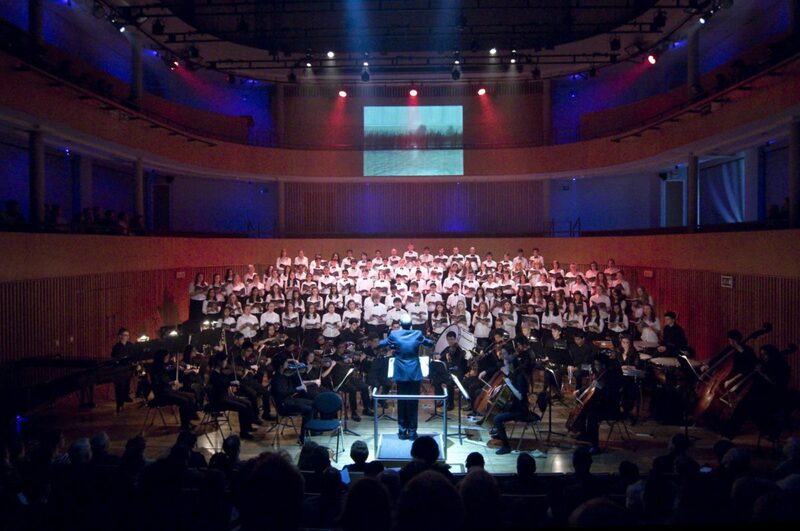 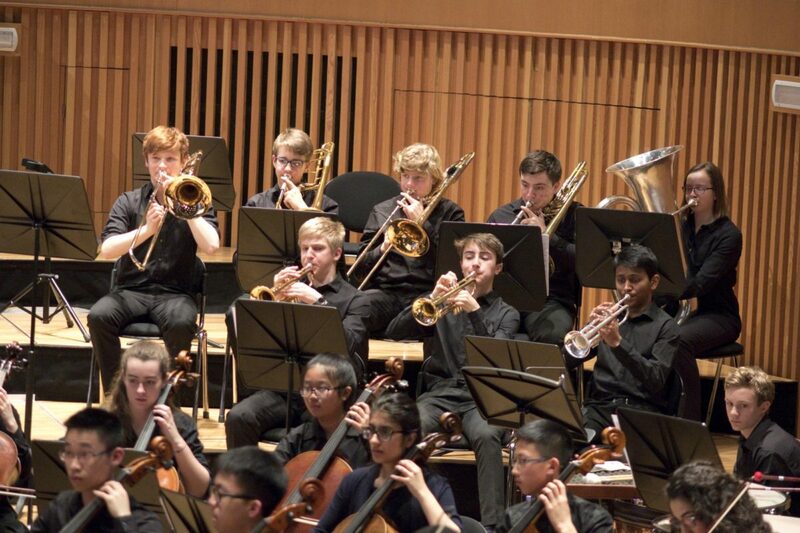 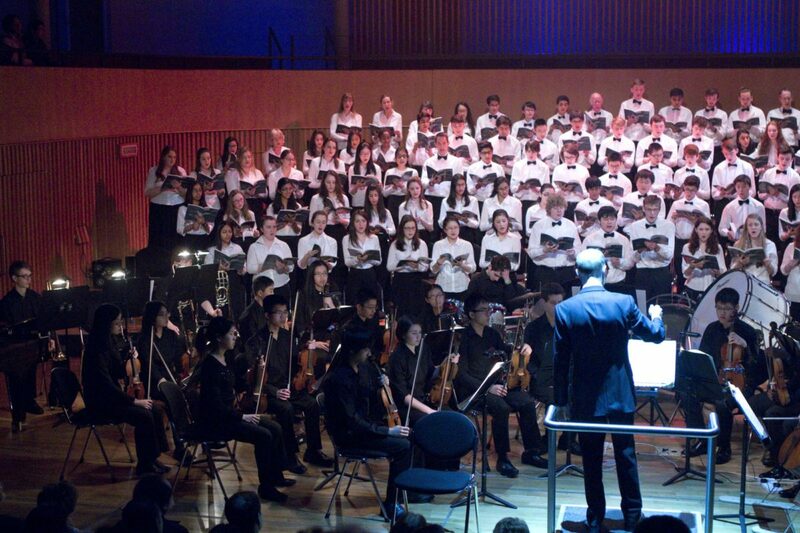 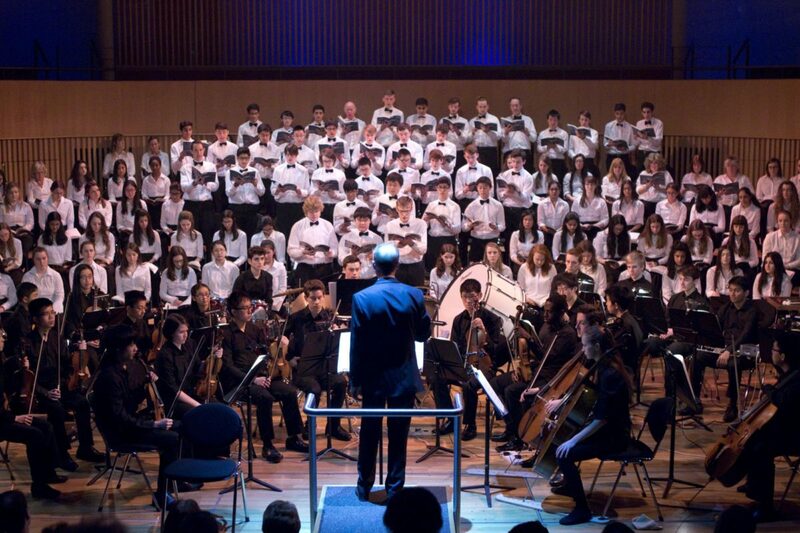 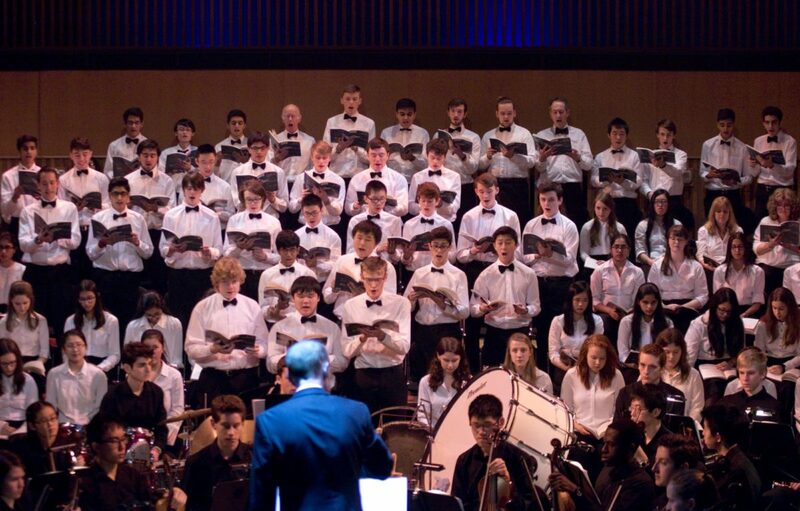 Over 350 boys perform within our musical ensembles in an annual programme of around 40 concerts and recitals. 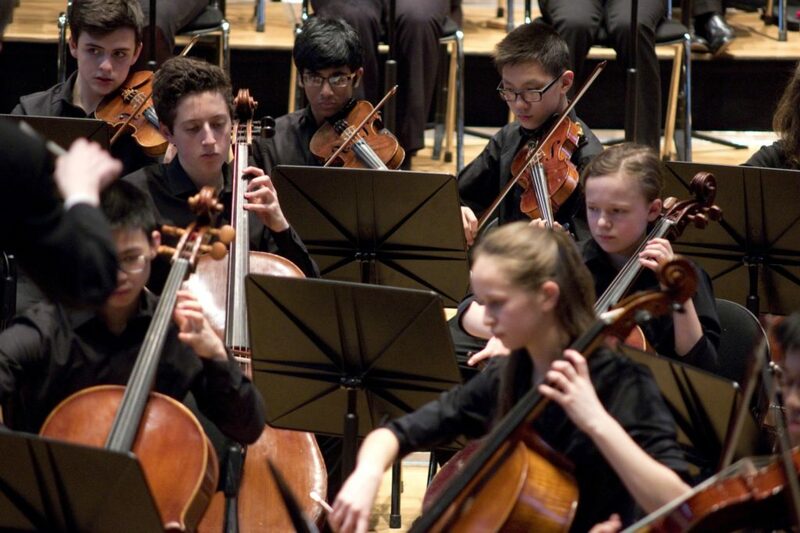 Our musical life is further enriched by visiting speakers, masterclasses with internationally renowned musicians, concert trips, and our close links with principal players of the City of Birmingham Symphony Orchestra (CBSO), the Dante Quartet and the Schubert Ensemble. 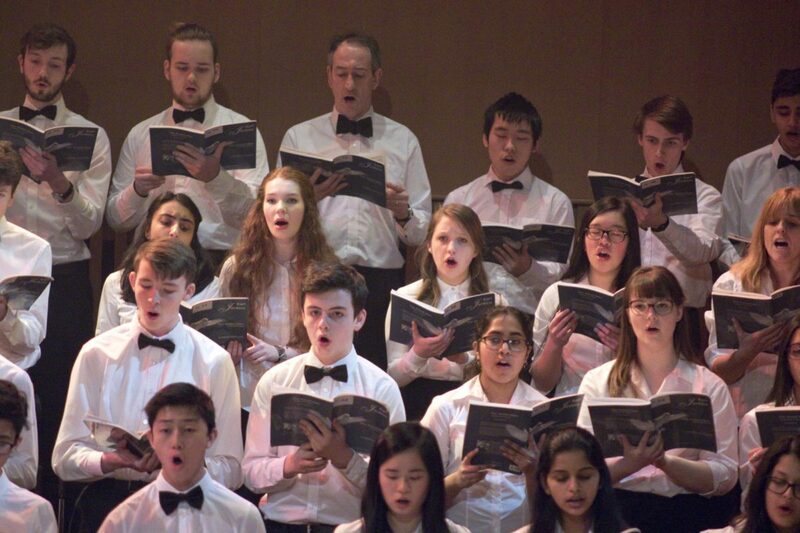 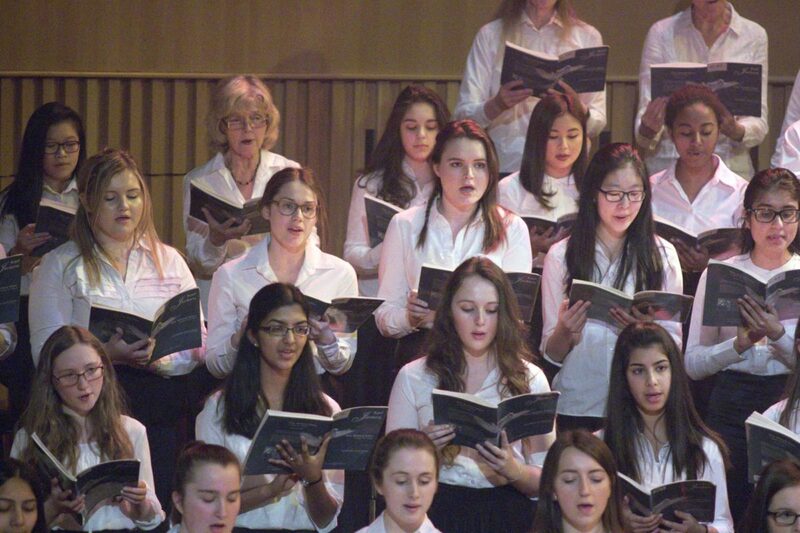 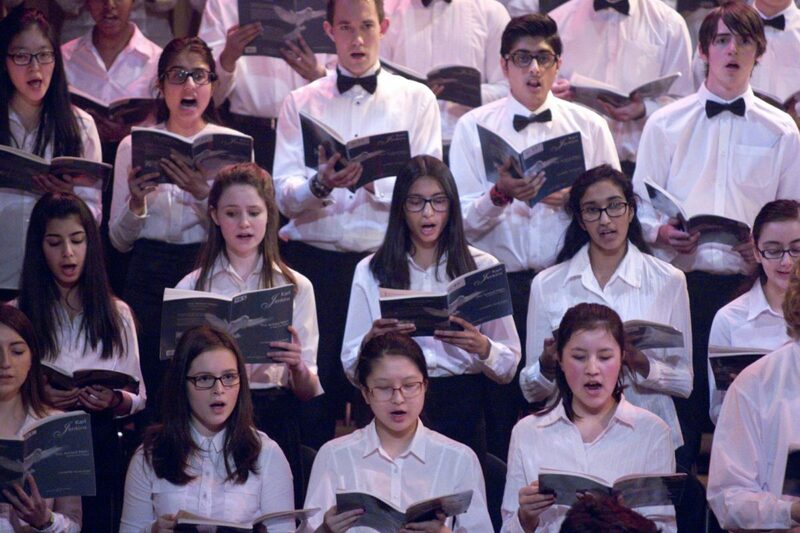 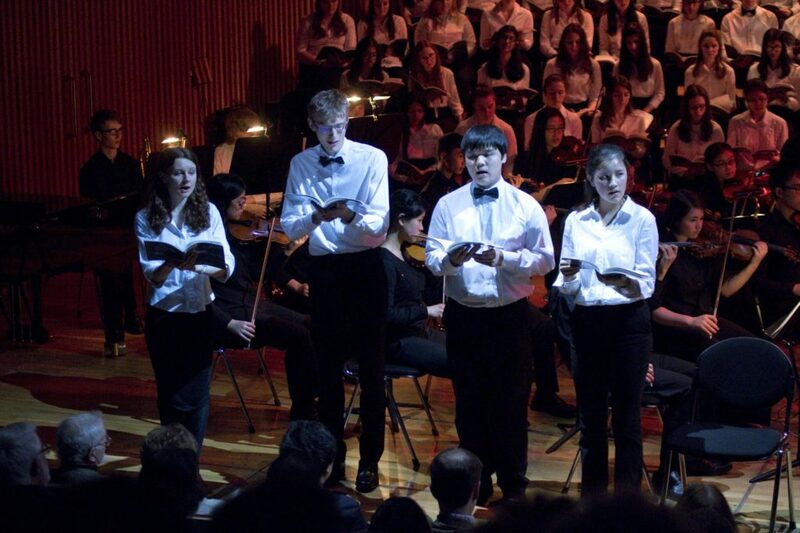 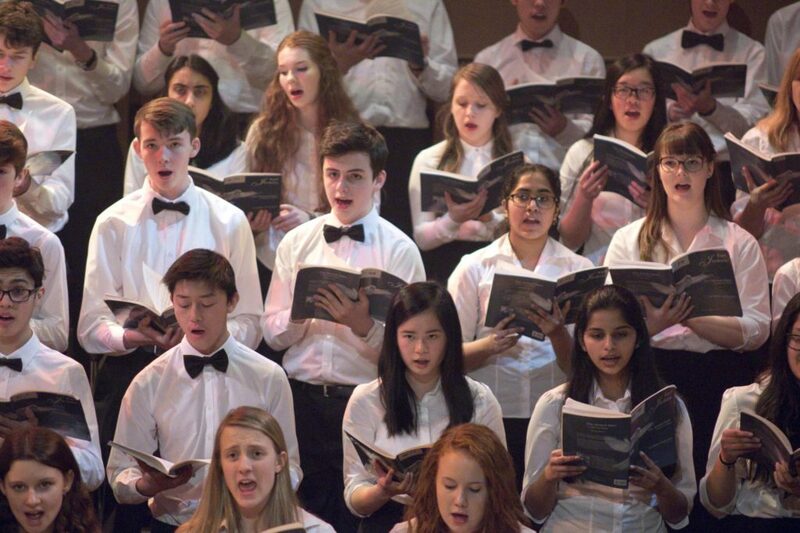 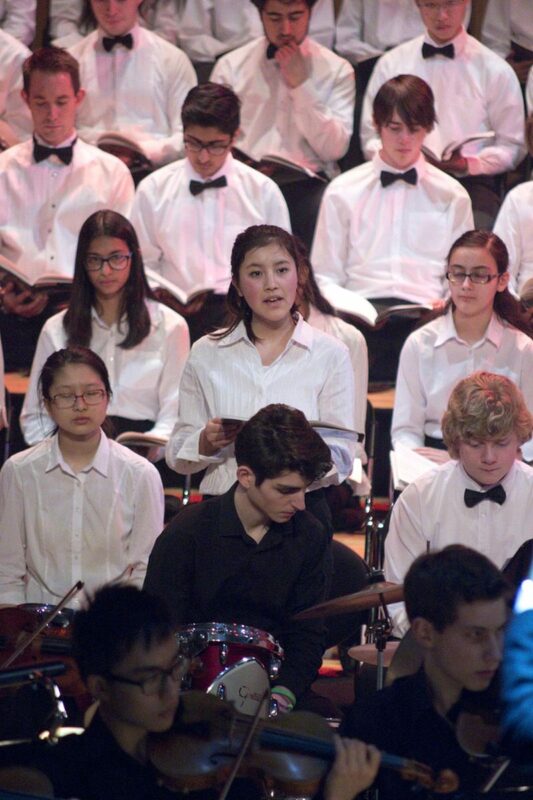 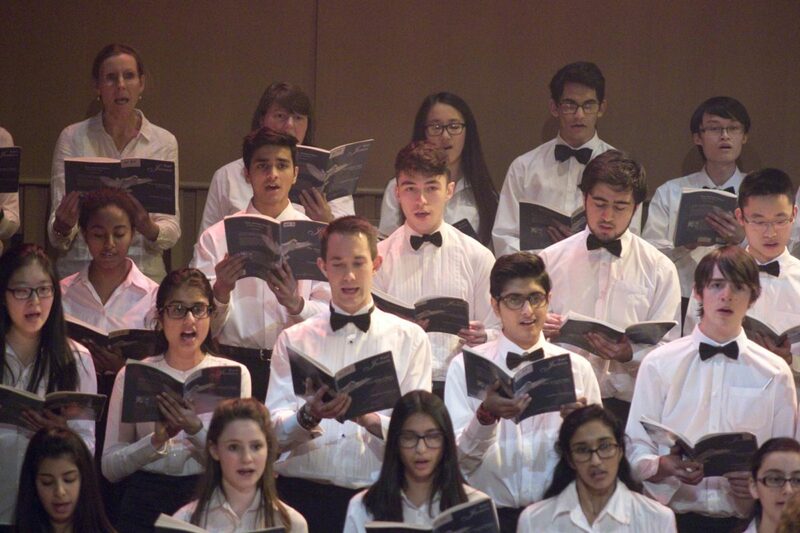 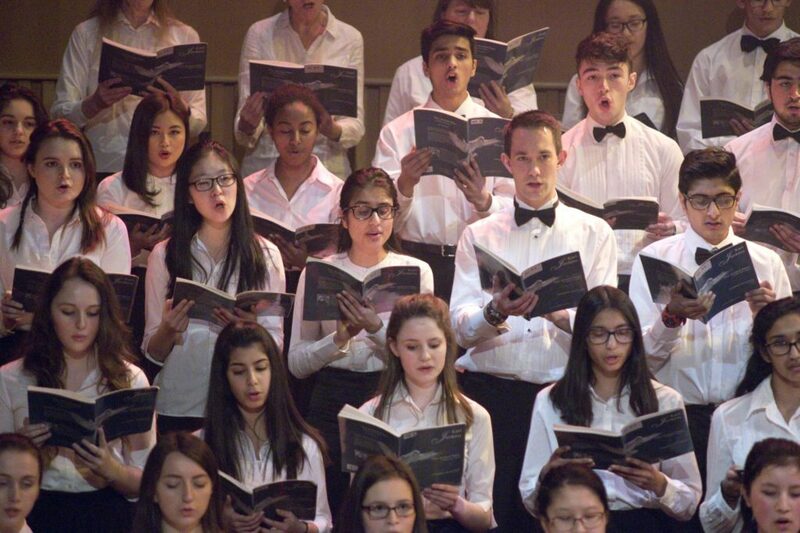 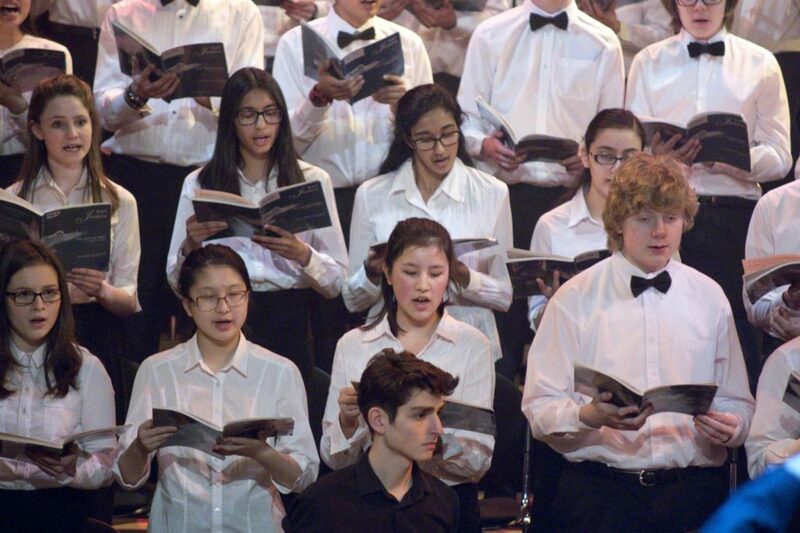 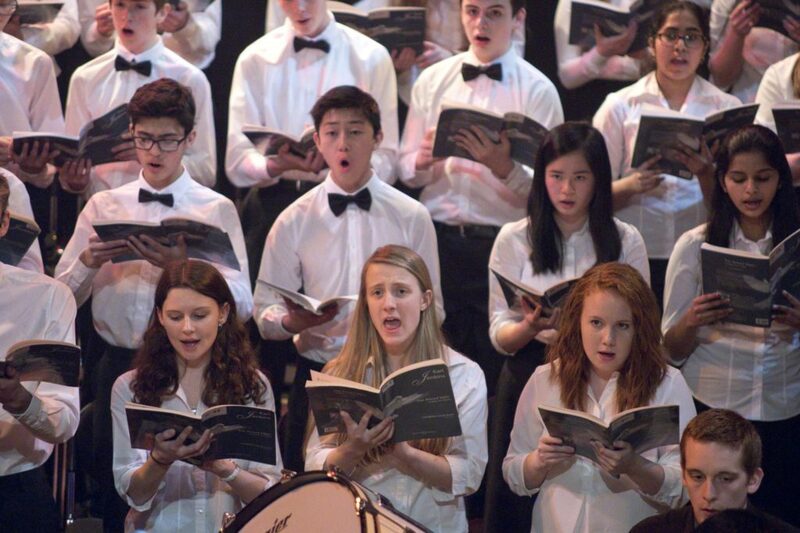 There is a major concert each term, and smaller concerts and recitals take place throughout the year, so each of our groups and musicians has several chances to perform. 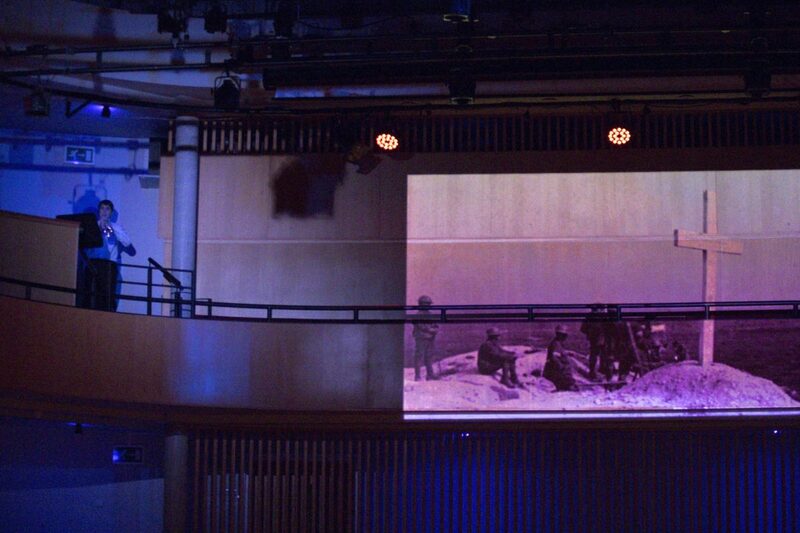 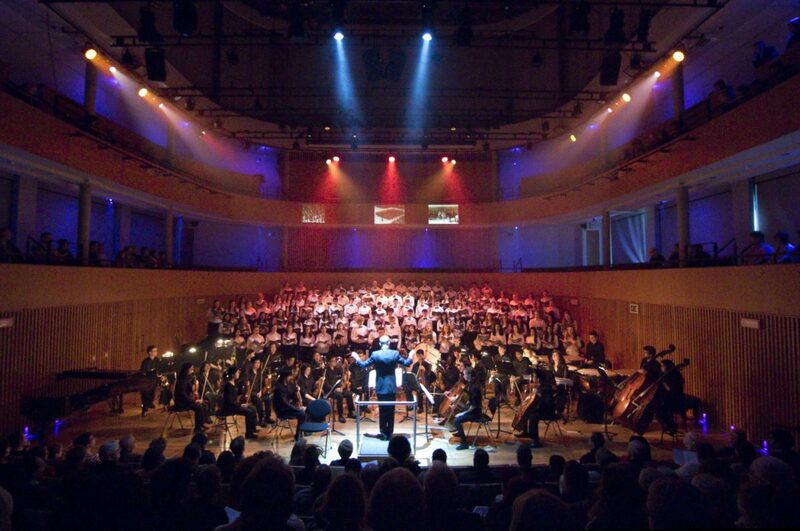 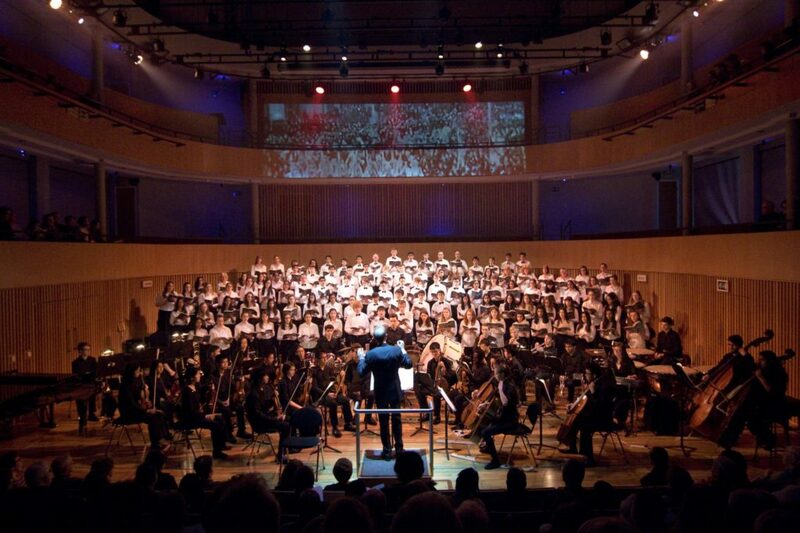 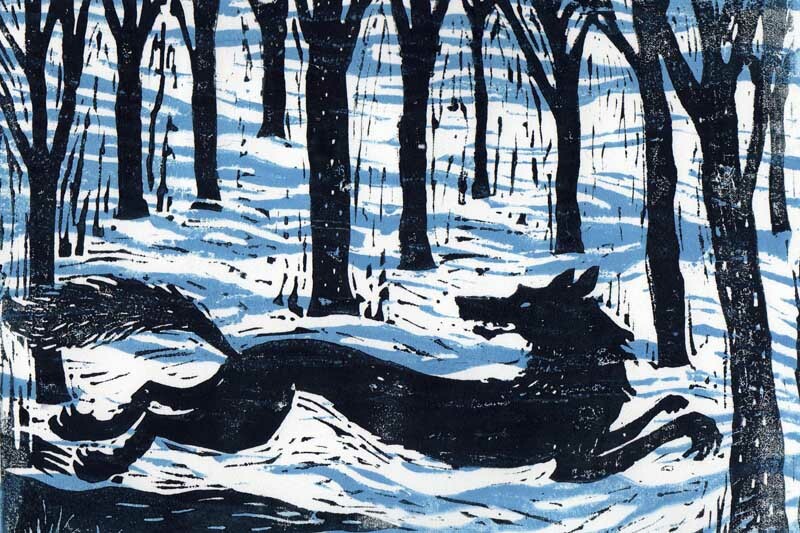 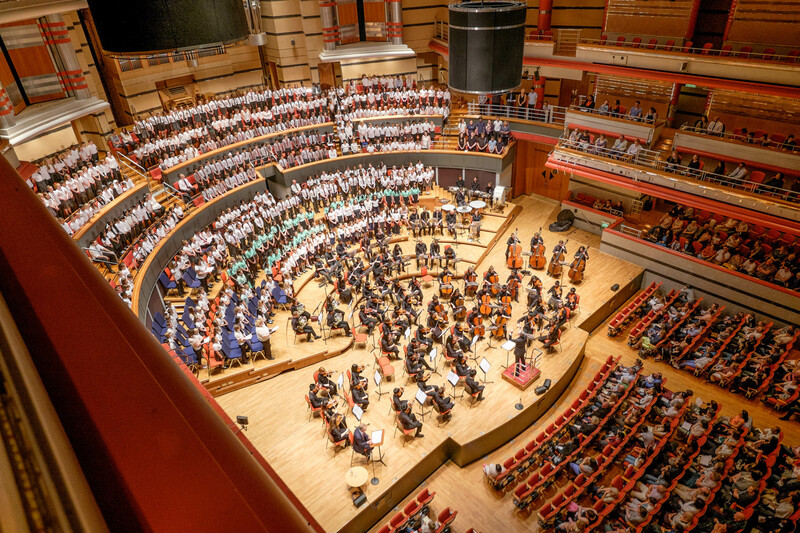 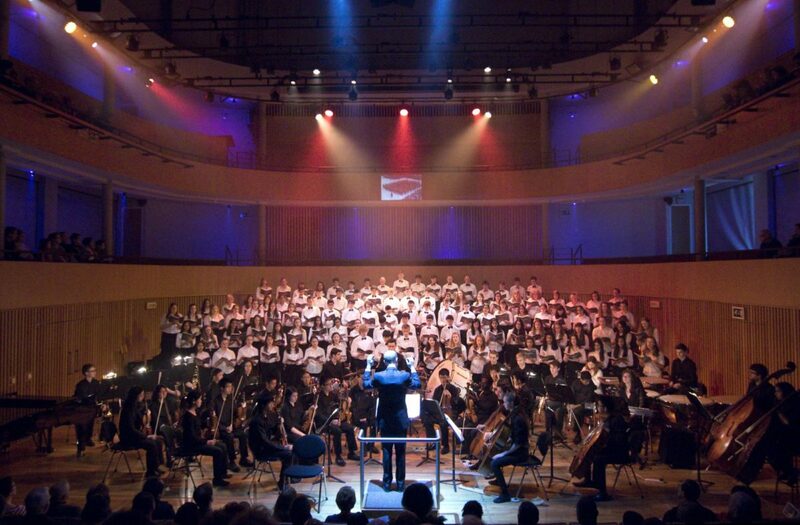 The majority of concerts take place in the Ruddock Hall of our Performing Arts Centre, but there is also an annual carol service in St Philip’s Cathedral and concerts in venues such as Birmingham Symphony Hall and the Barber Institute. 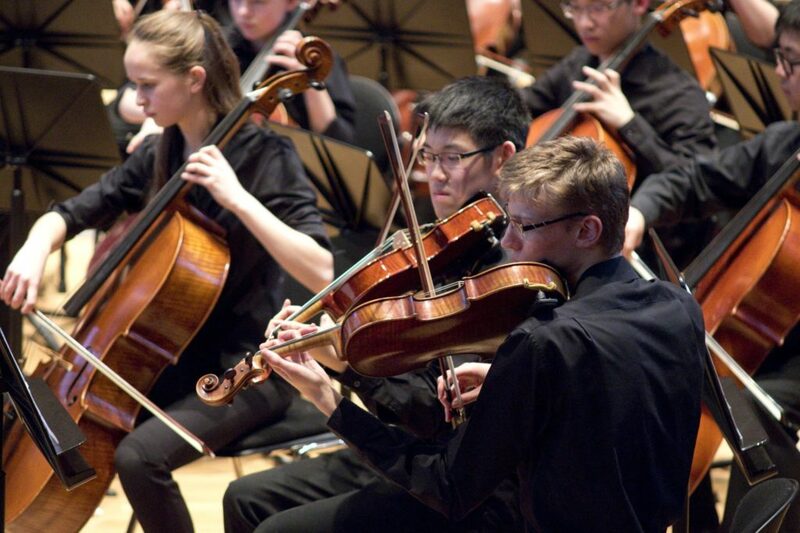 Lunchtime Recitals and Performers’ Platforms provide an opportunity for our most advanced players to perform as soloists or as part of chamber groups, and Instrumental Evenings enable musicians of all abilities to perform in front of family and friends. 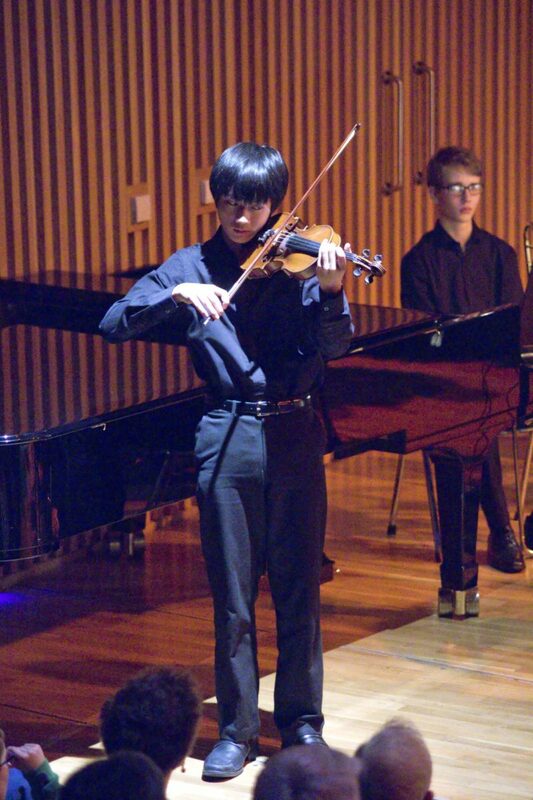 Instrumental lessons are available to all boys, regardless of musical ability, and our 20 visiting teachers cover instruction in most instruments. 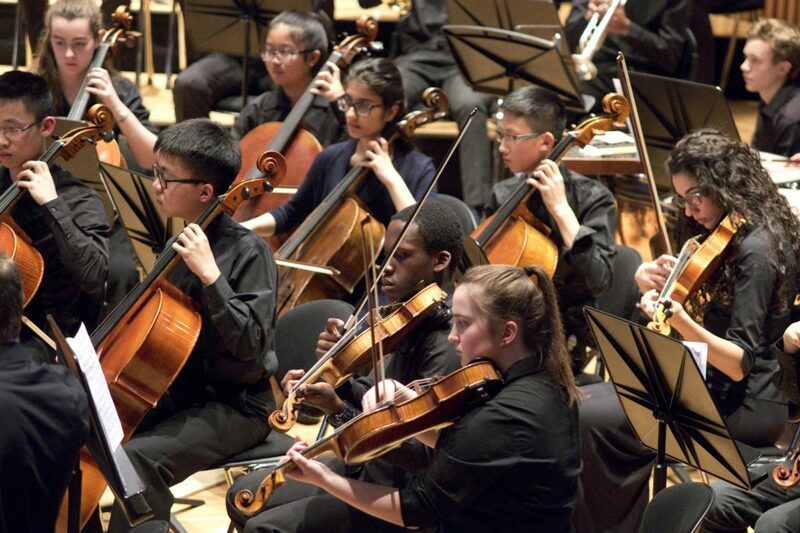 For boys in Year 7 to 9, lessons take place on a rota system within the timetable and thereafter are before or after school, during morning break, or at lunchtime. 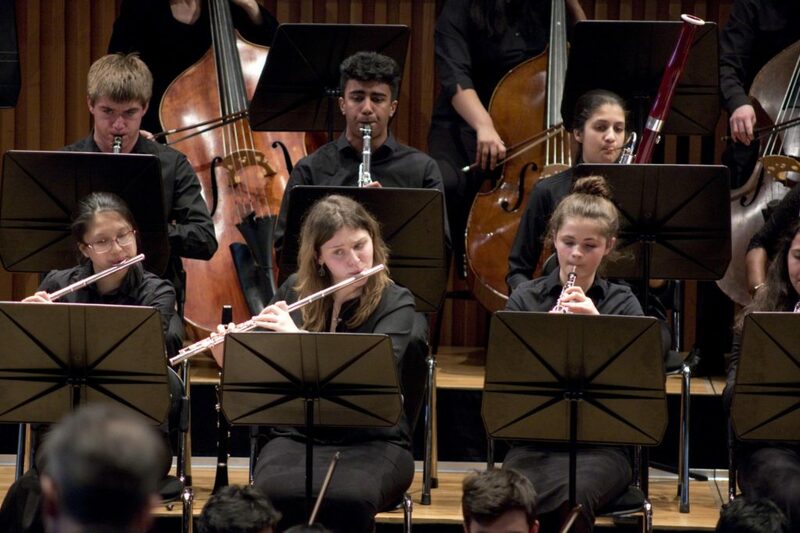 Pupils may take ABRSM exams in school, whether they have their lessons in school or not, the exams for which take place three times a year towards the end of each term. 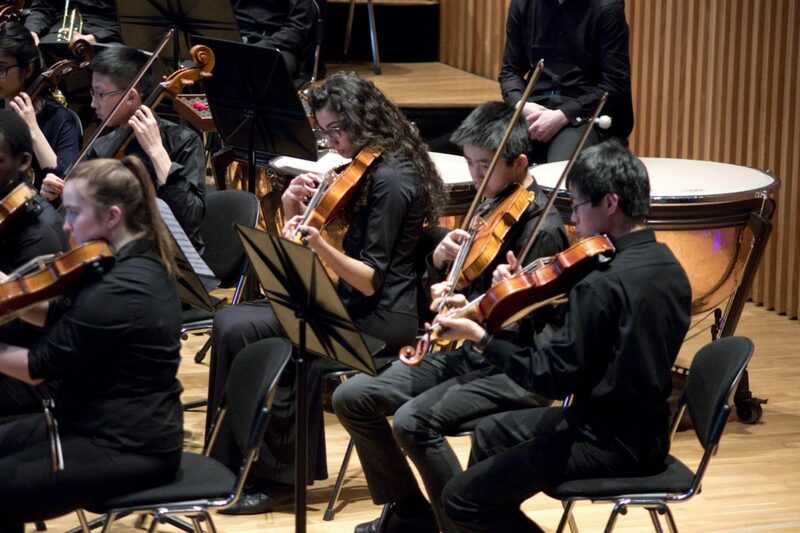 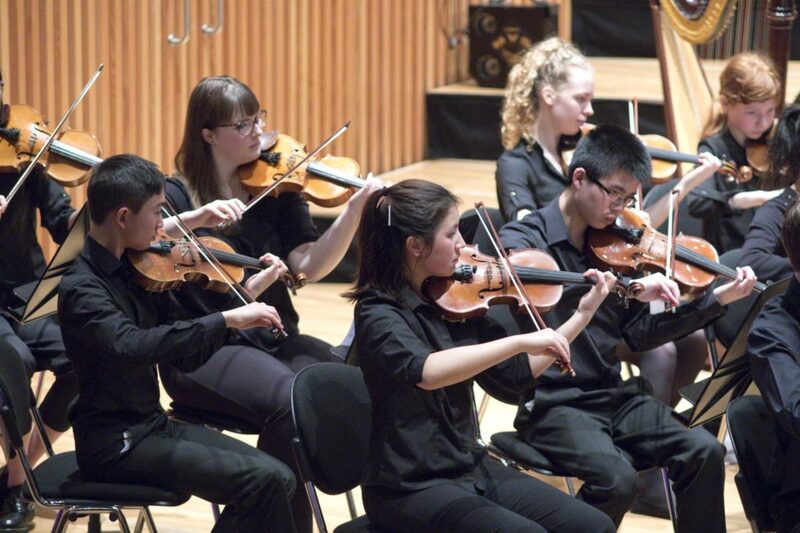 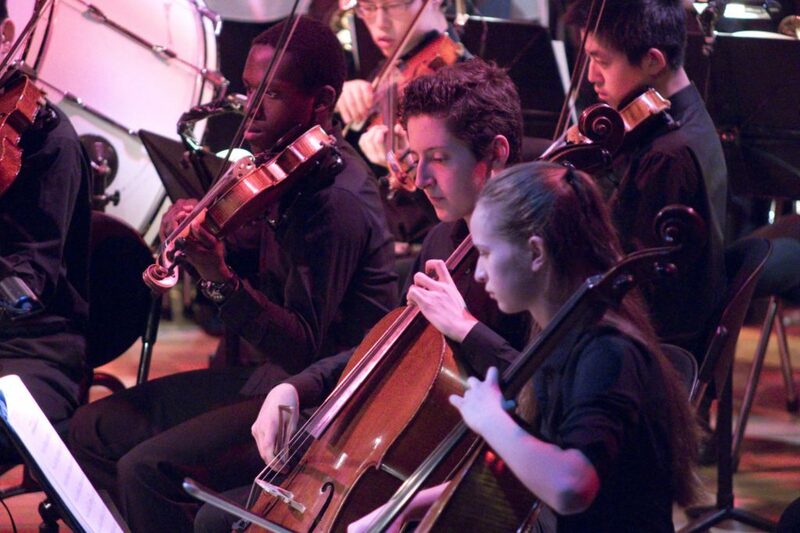 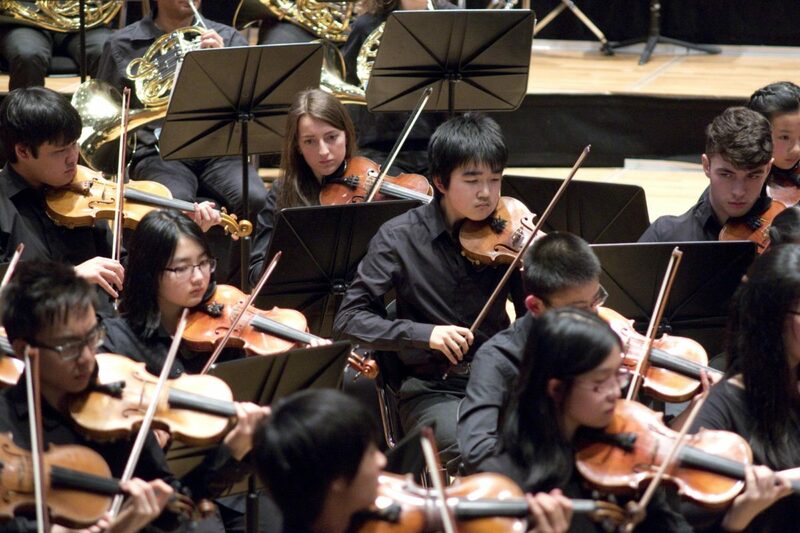 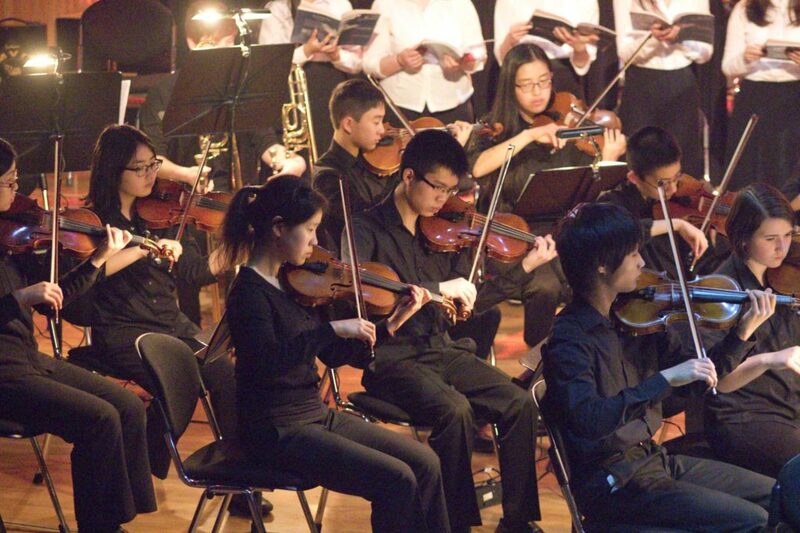 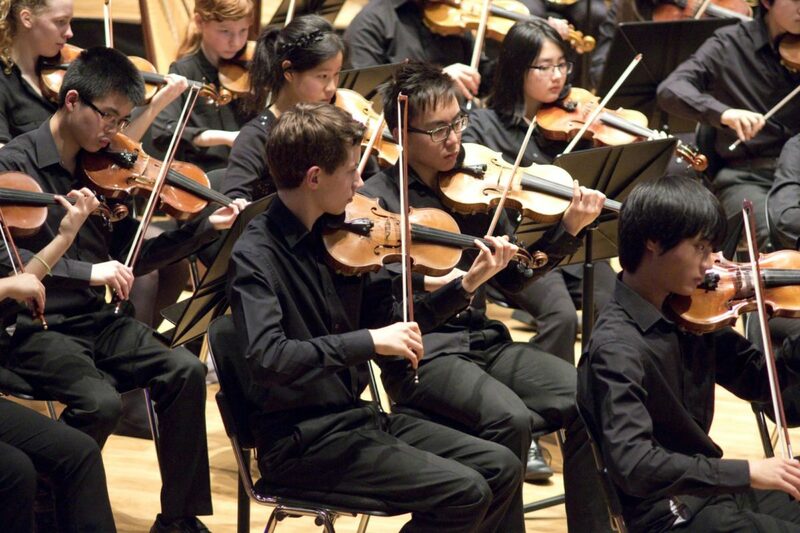 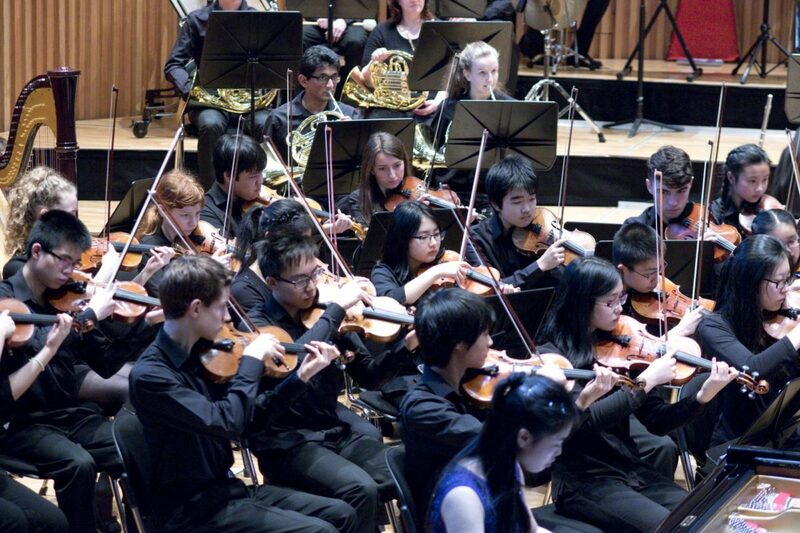 Symphony Orchestra is one of our flagship ensembles and is one of the finest orchestras in any school. 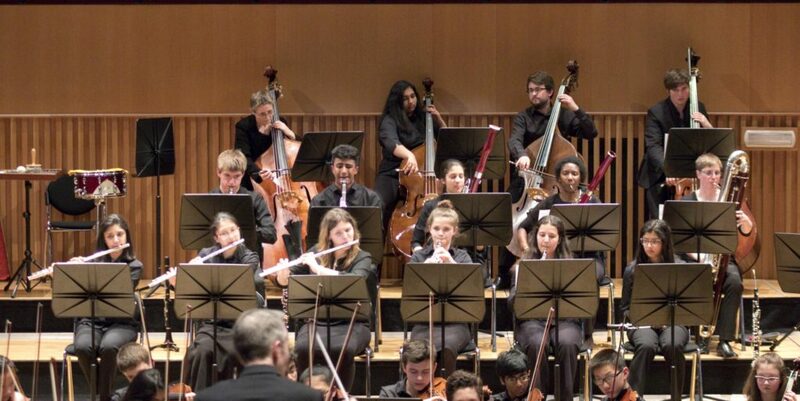 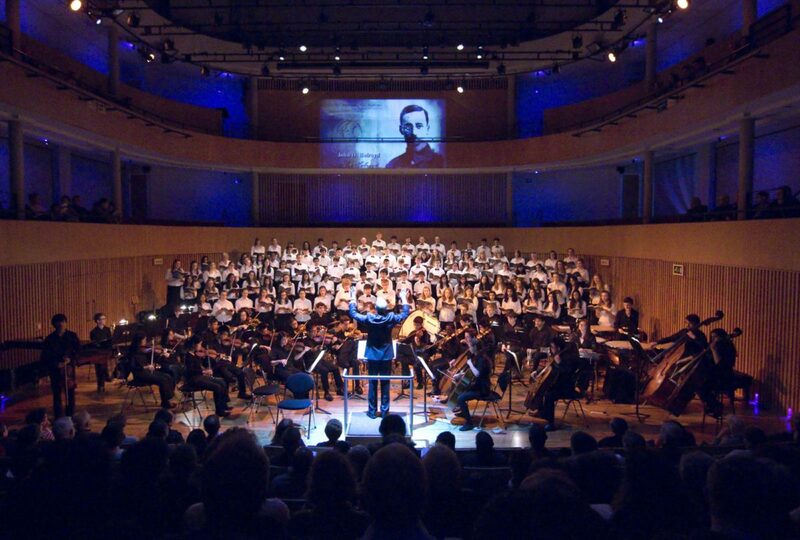 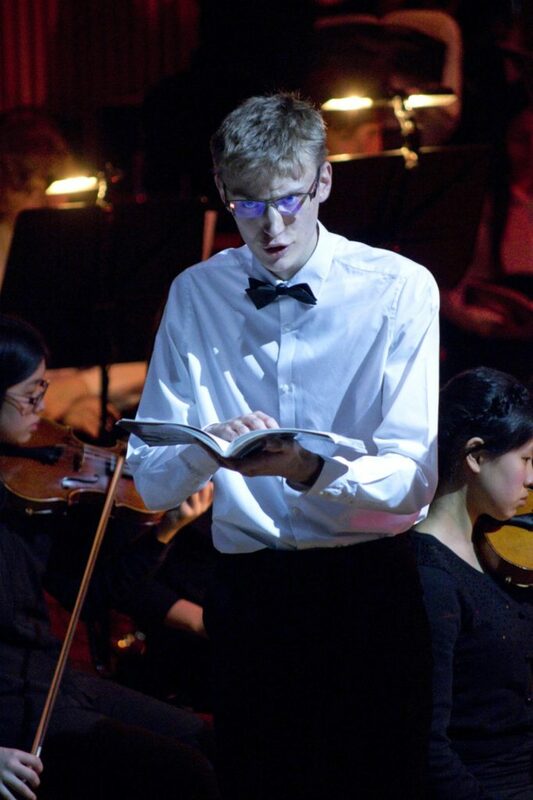 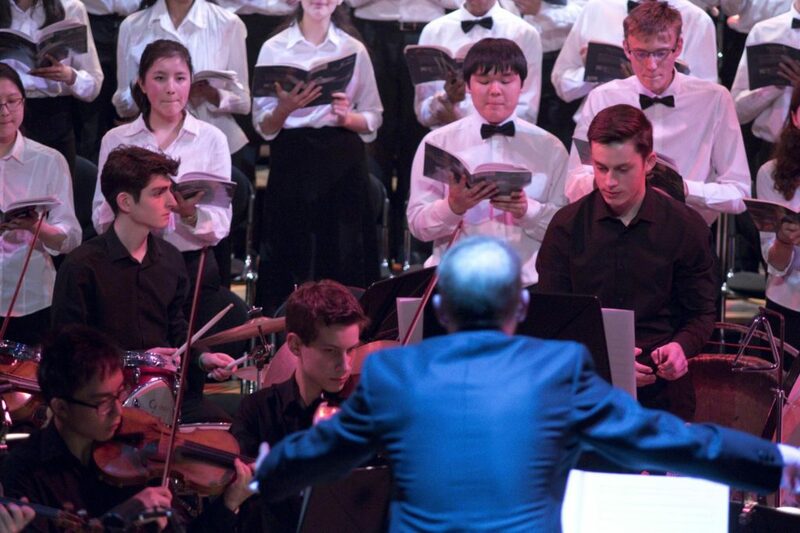 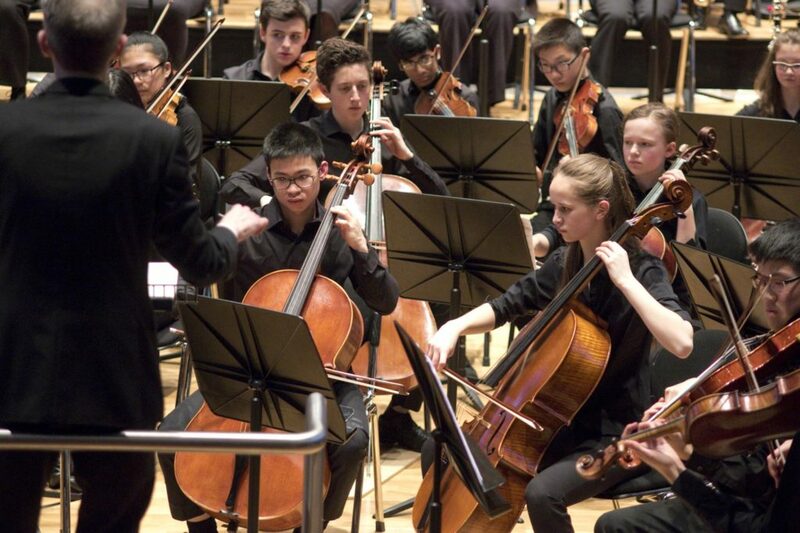 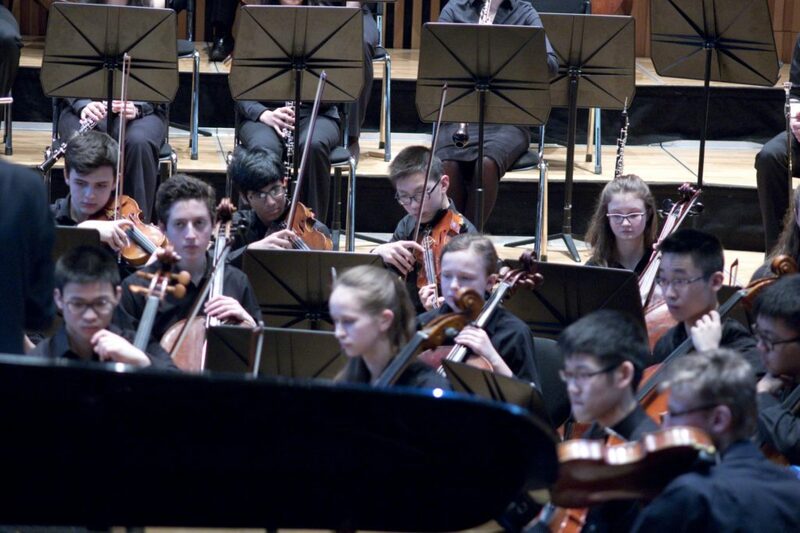 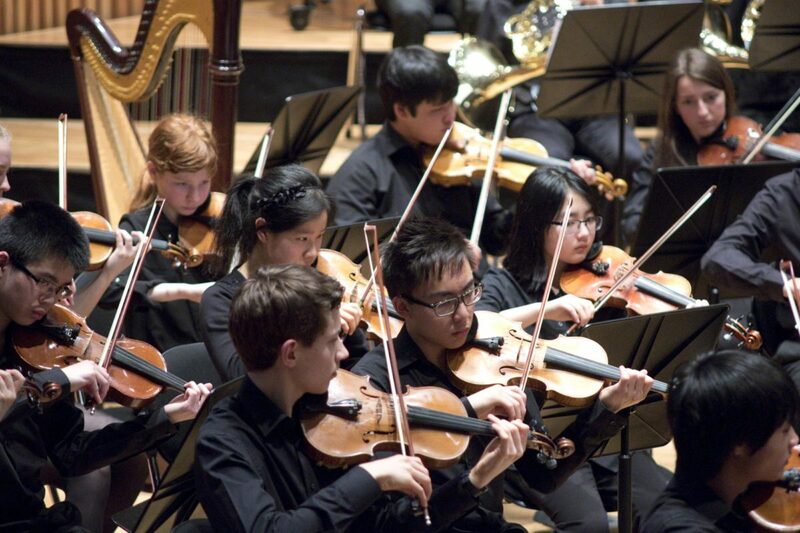 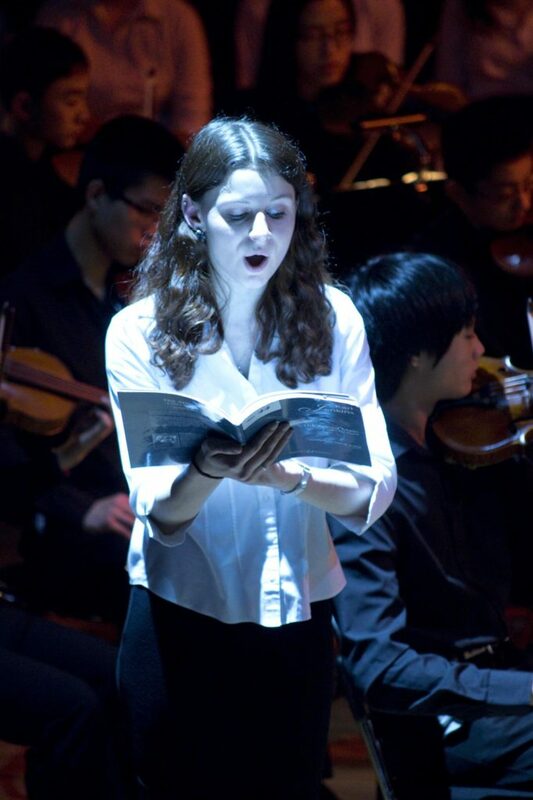 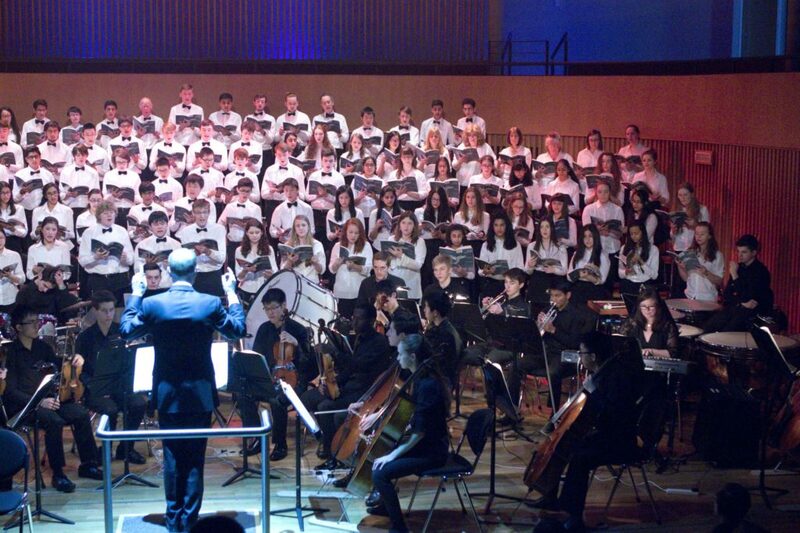 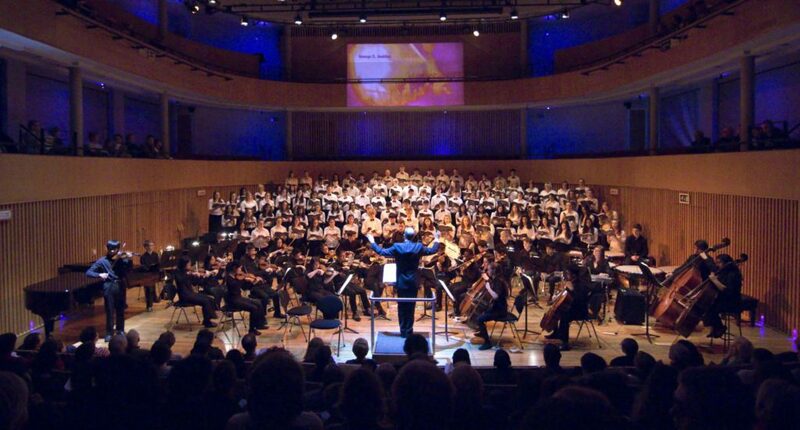 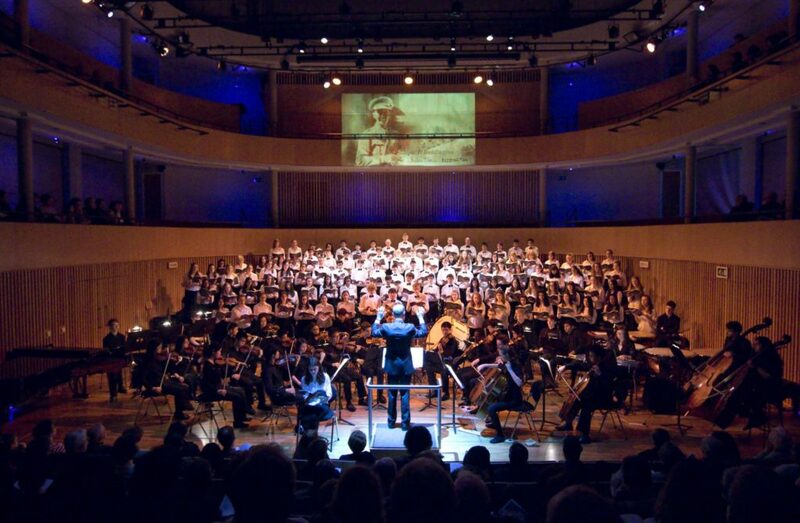 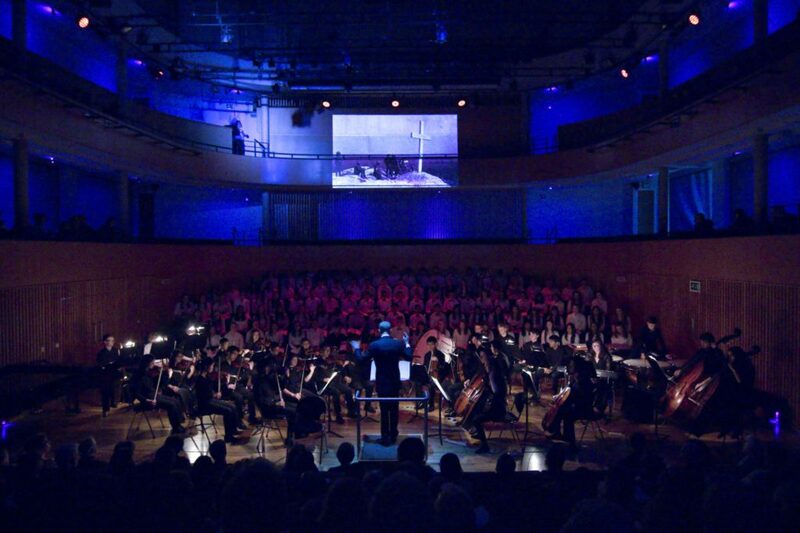 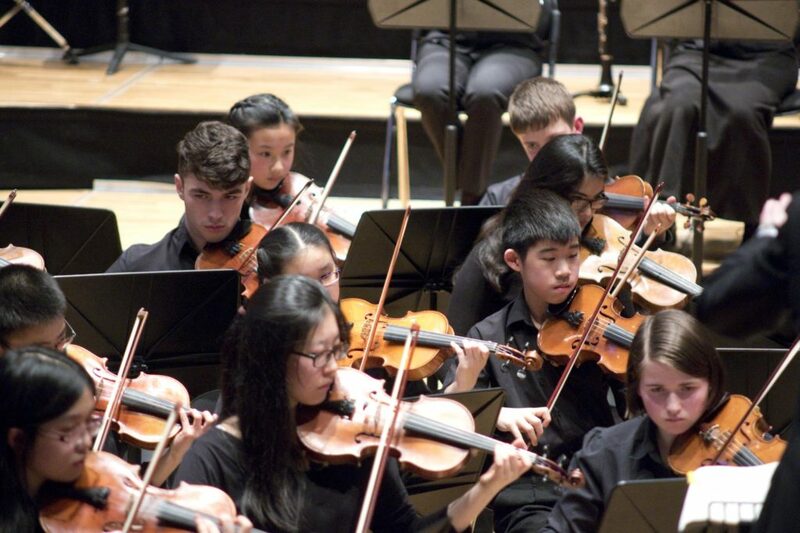 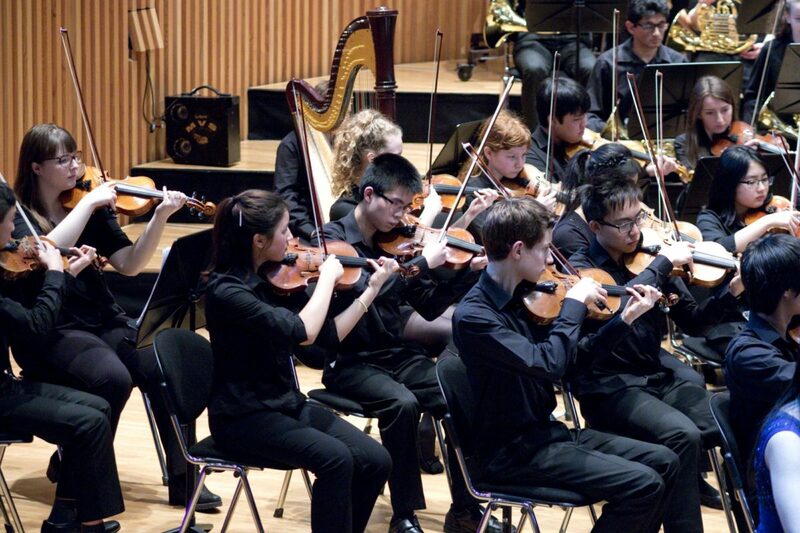 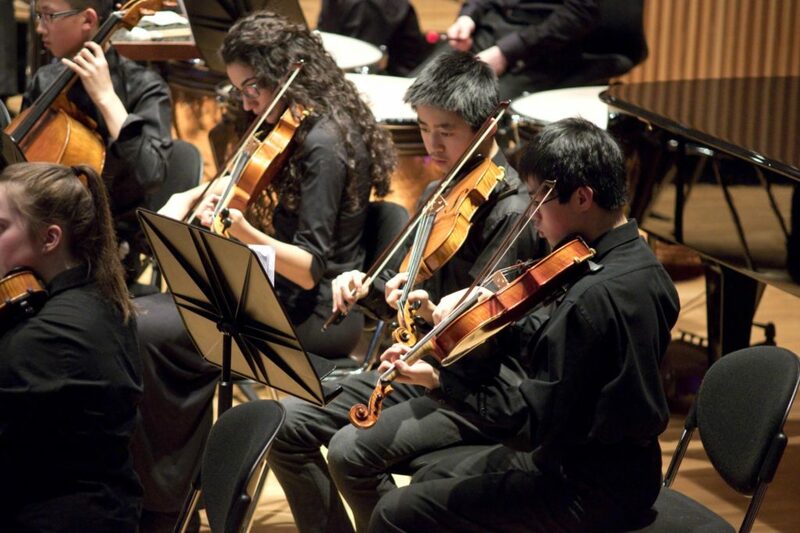 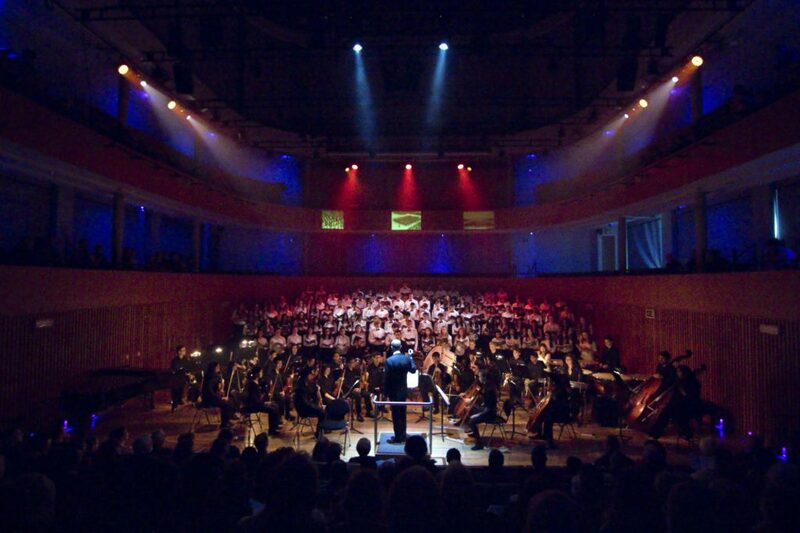 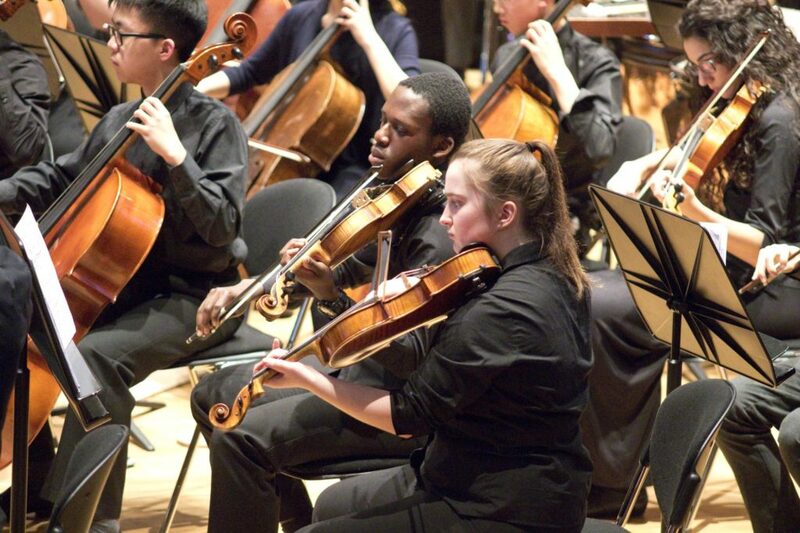 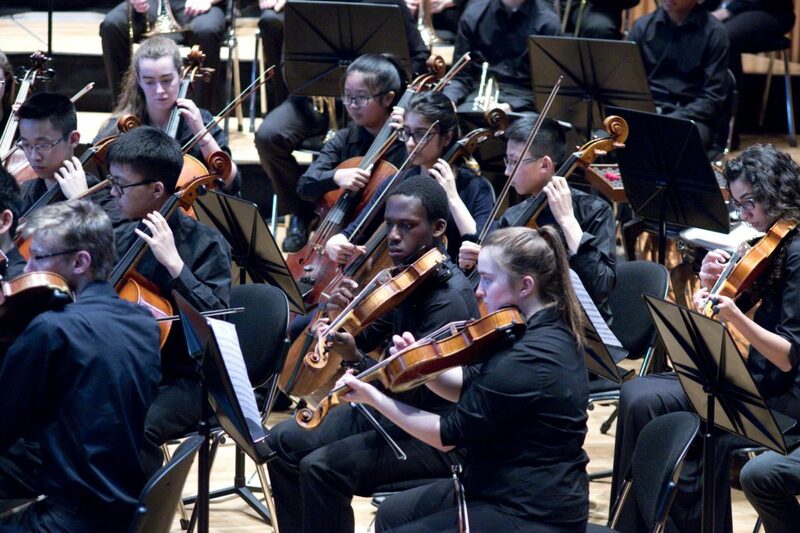 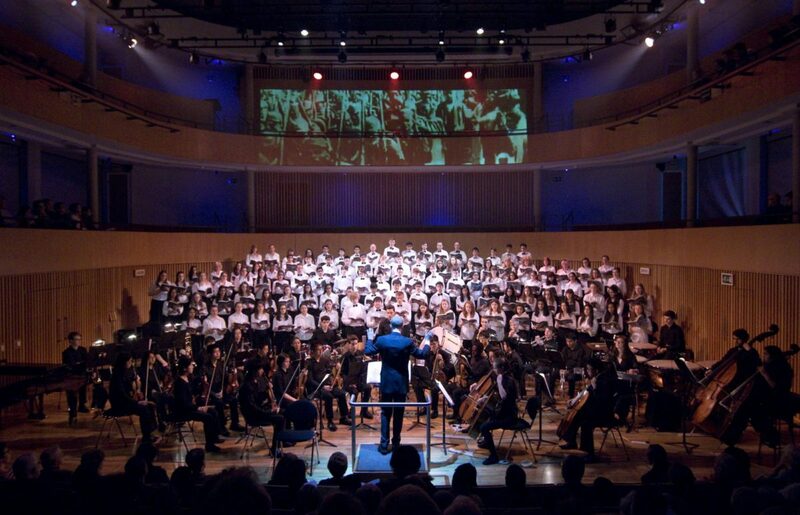 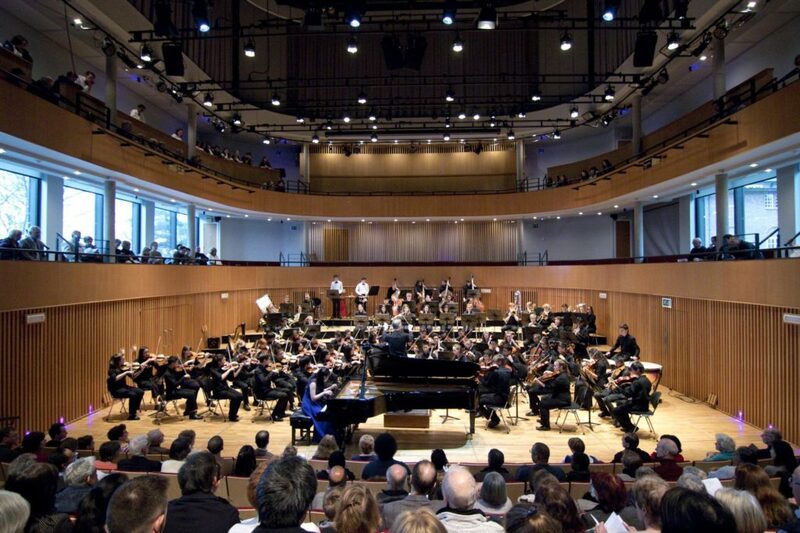 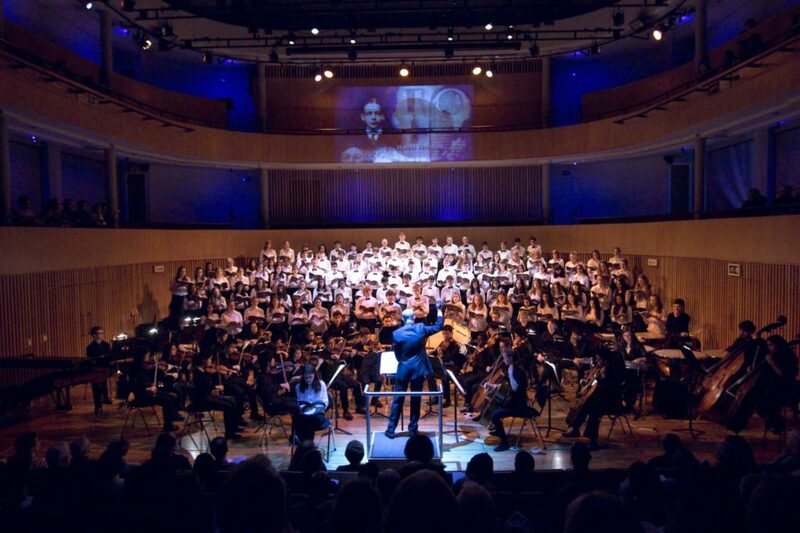 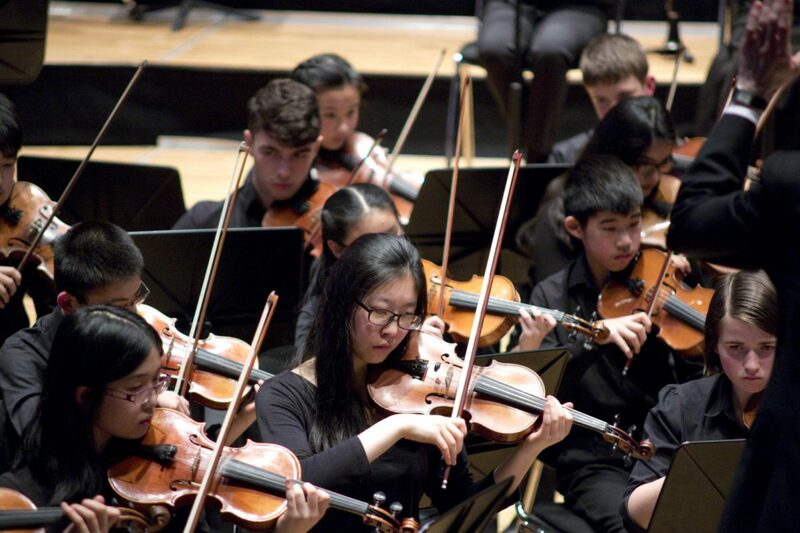 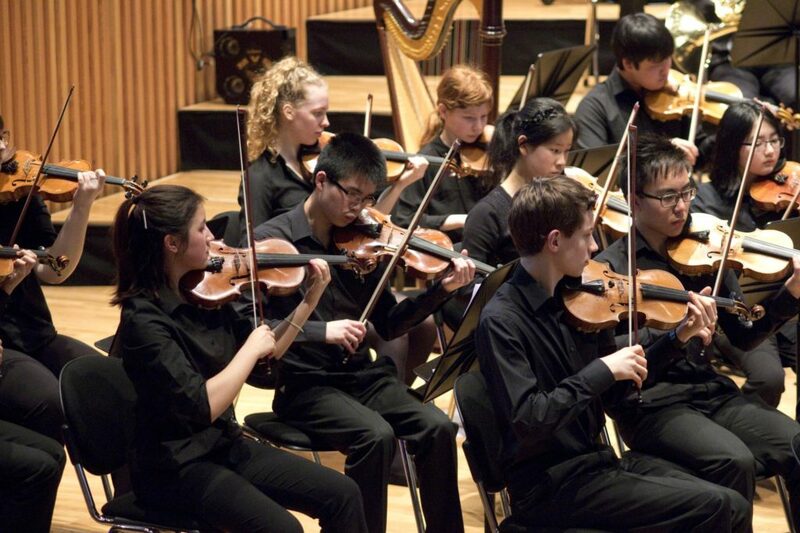 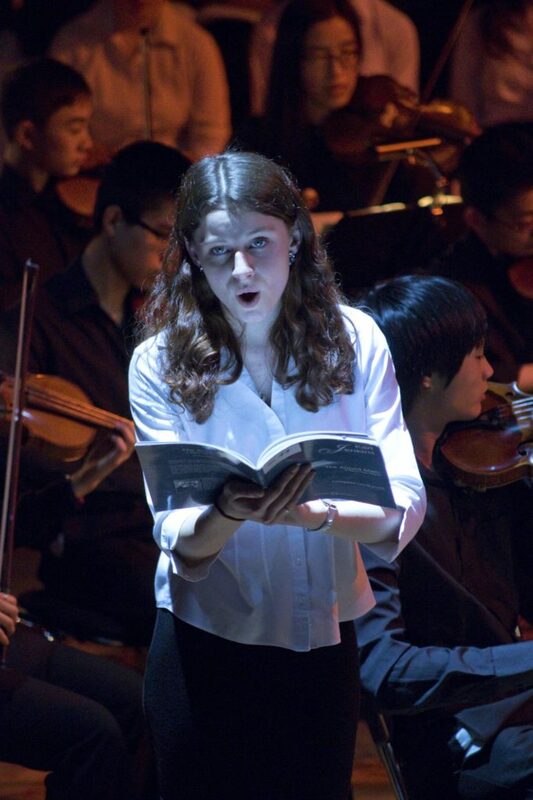 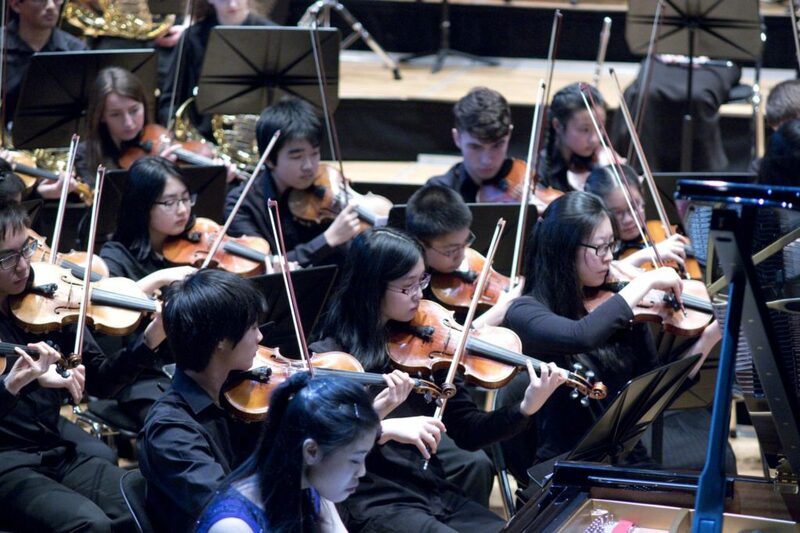 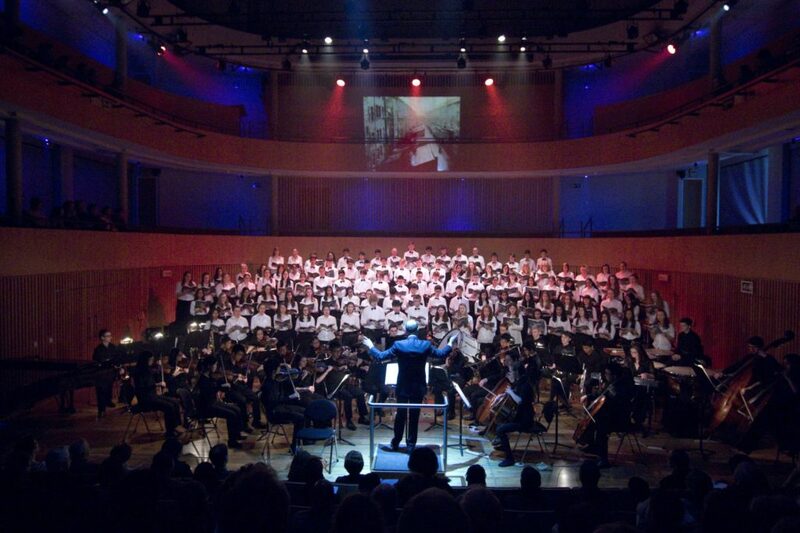 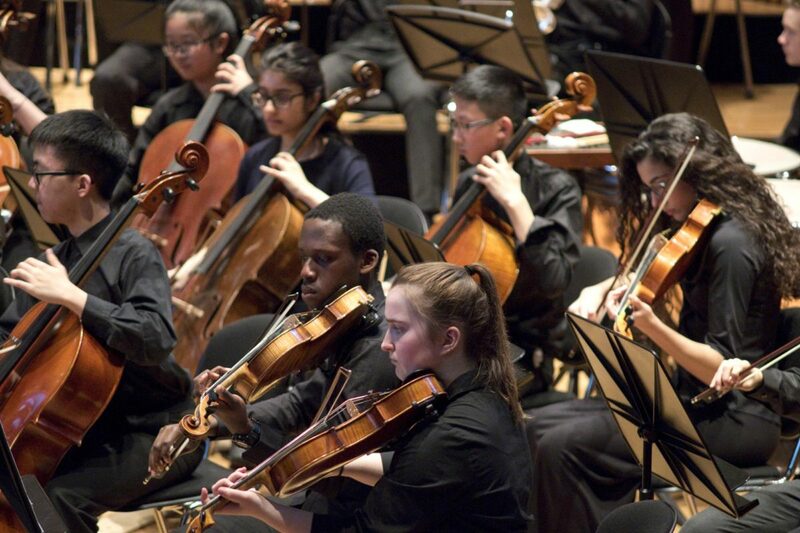 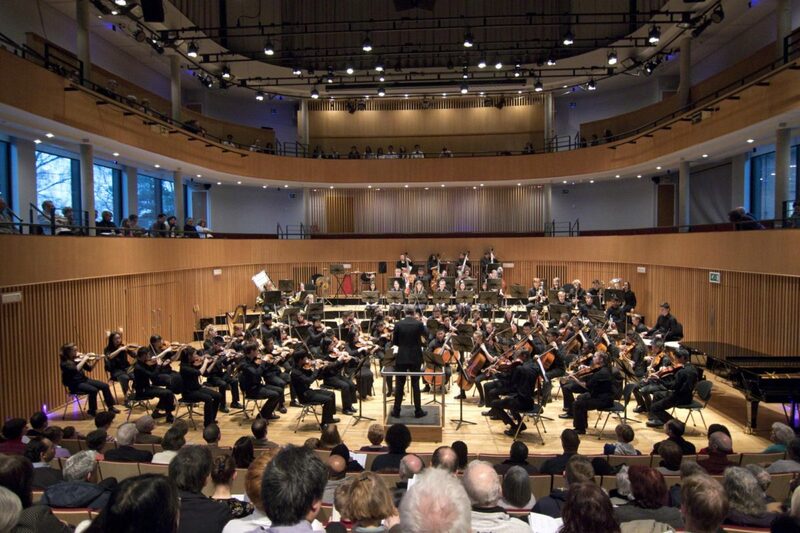 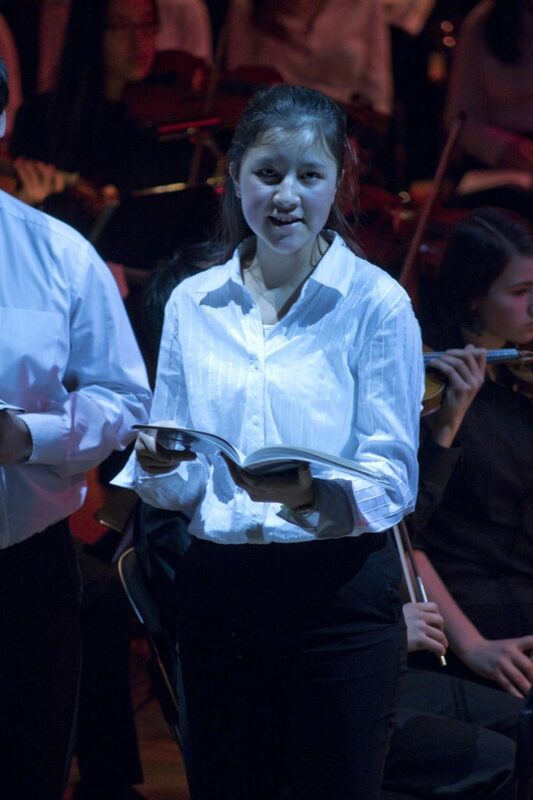 Run in conjunction with King Edward VI High School for Girls (KEHS), the 90-strong orchestra plays major works of the symphonic repertoire and accompanying concertos. 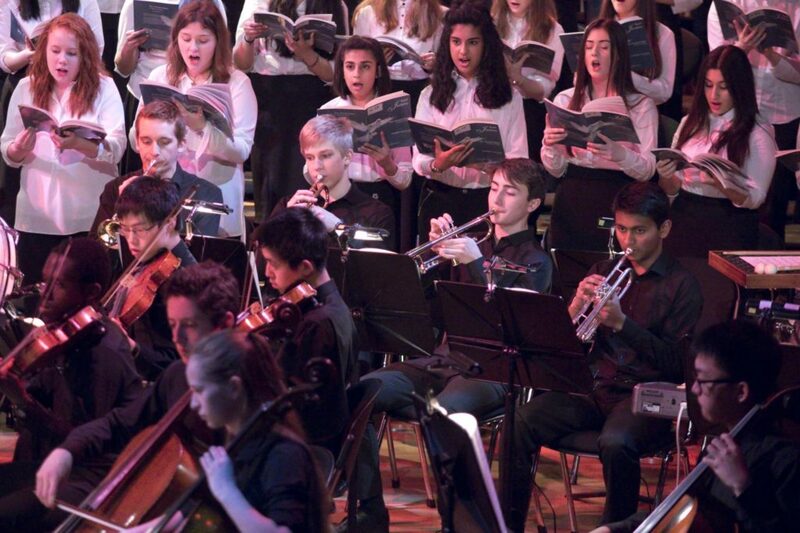 The annual highlight is the residential rehearsal weekend at Cleobury Mortimer in preparation for the Choral and Orchestral Concerts. 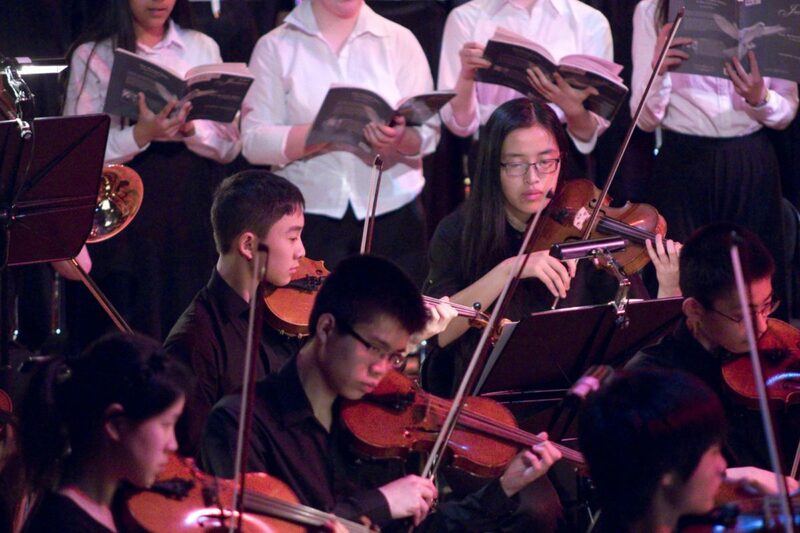 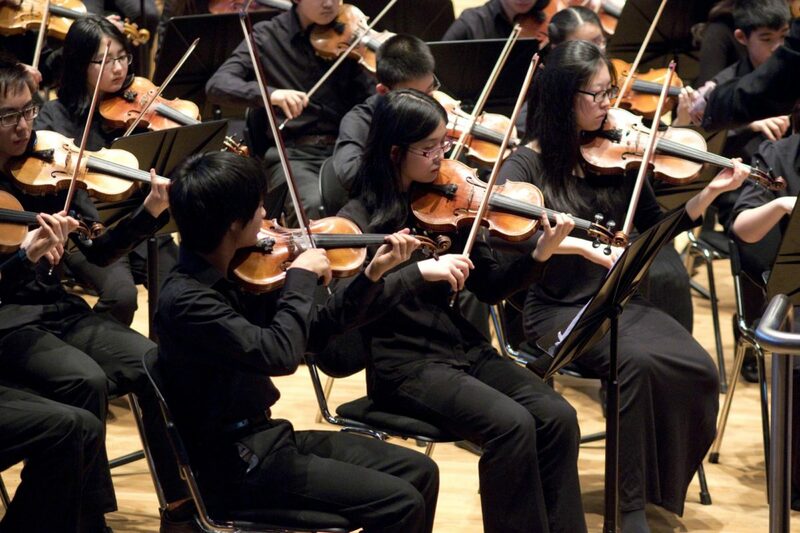 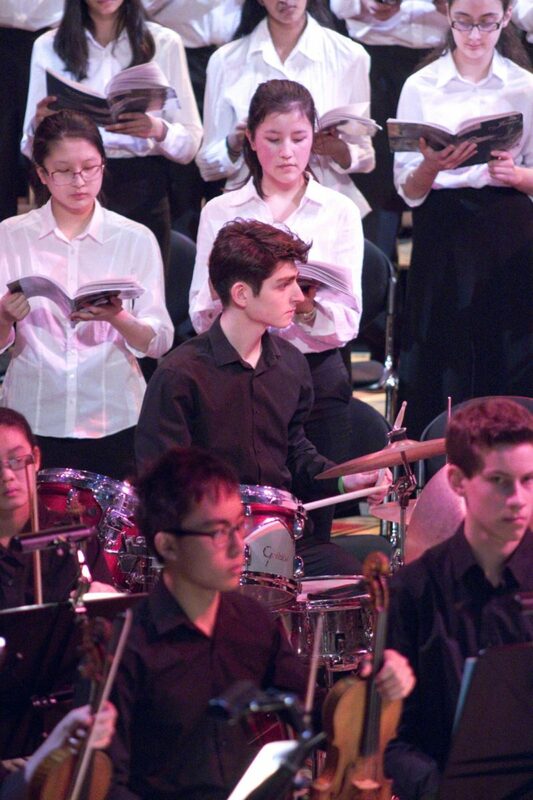 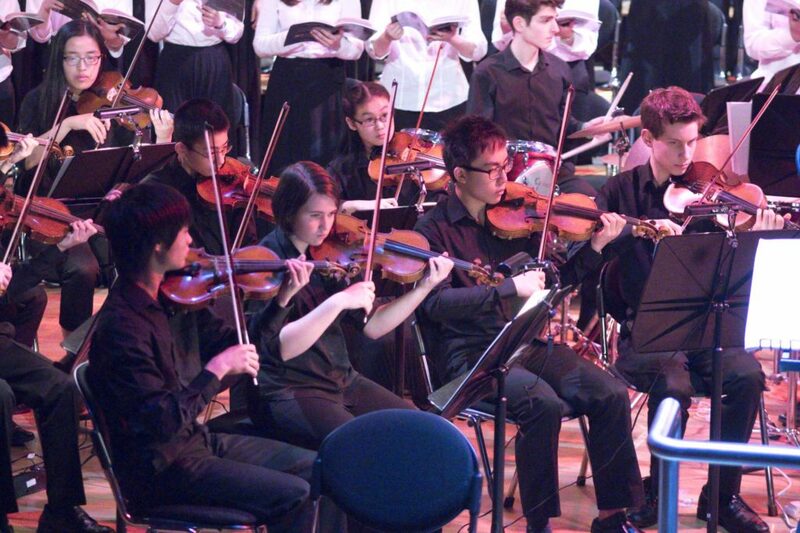 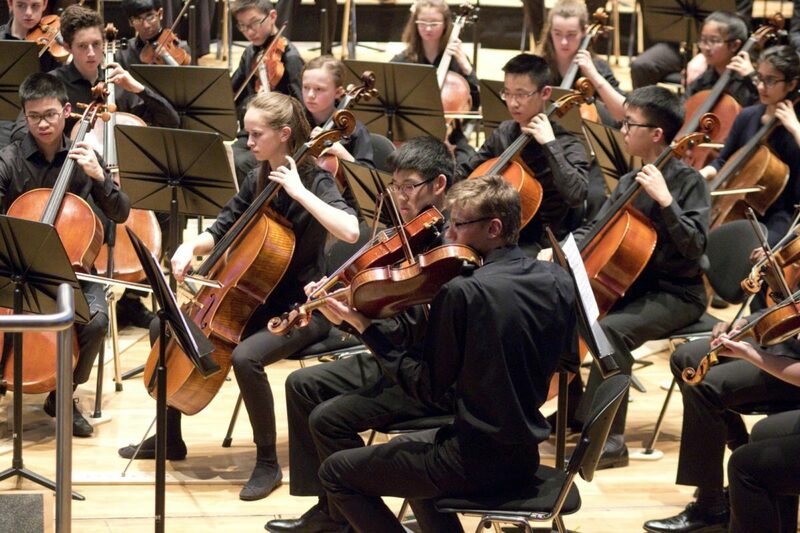 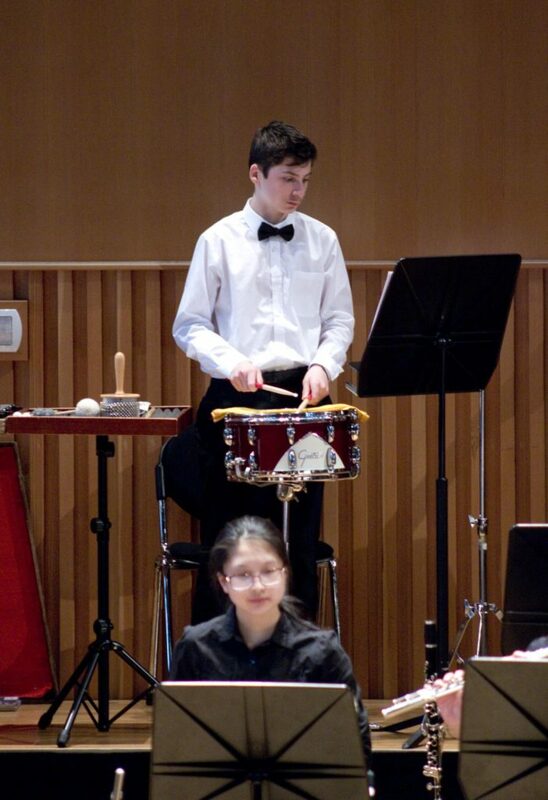 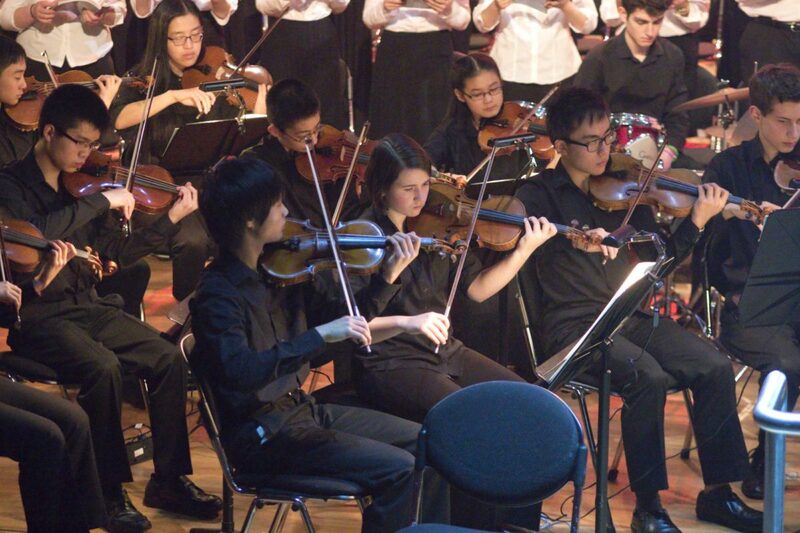 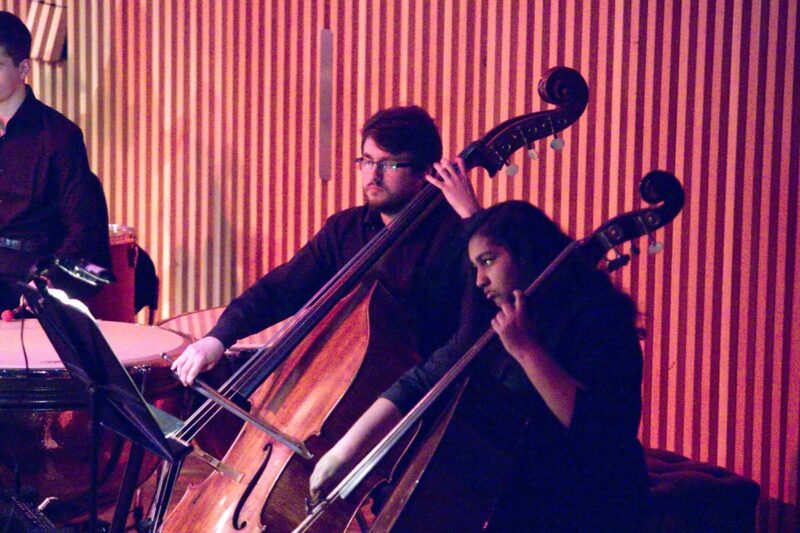 Concert Orchestra, also run in conjunction with KEHS, is a large and accomplished symphonic ensemble with a varied repertoire, which includes classical pieces and music from film soundtracks. 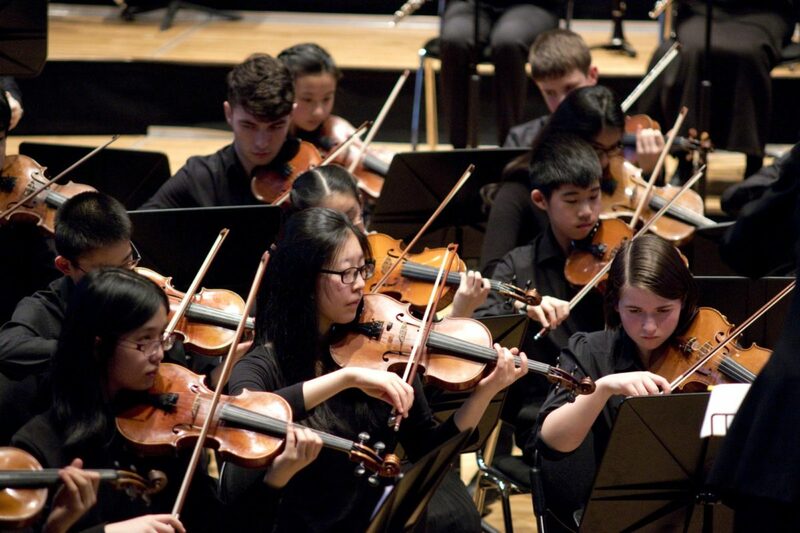 The Orchestra provides an introduction to advanced orchestral playing and an opportunity to improve ensemble-playing skills. 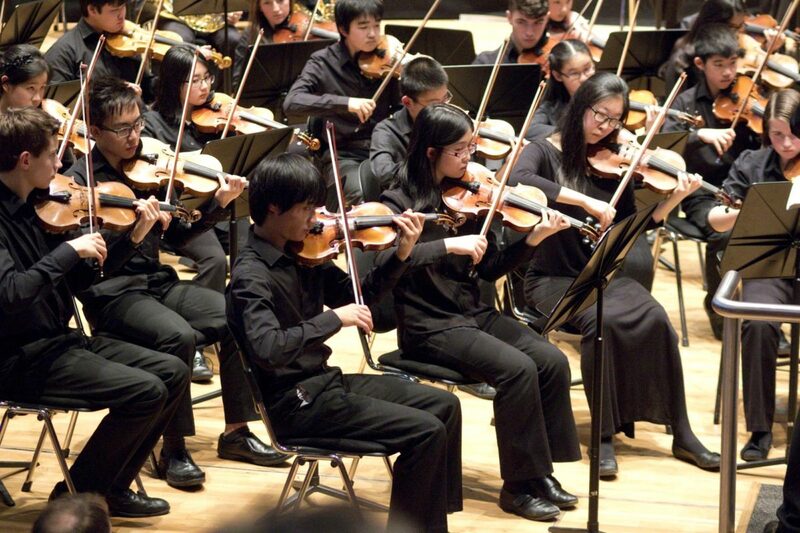 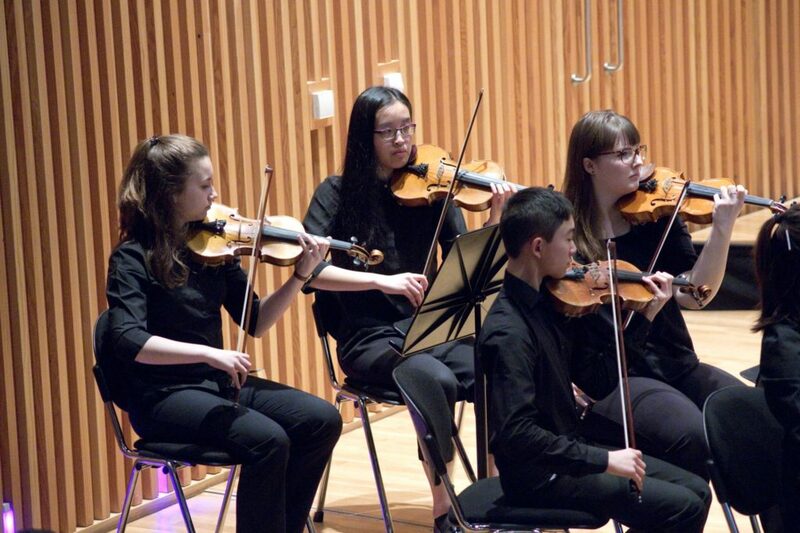 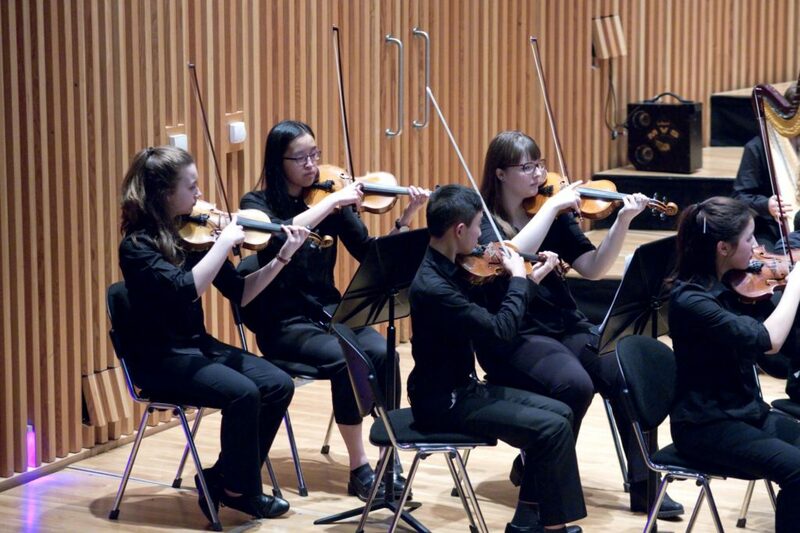 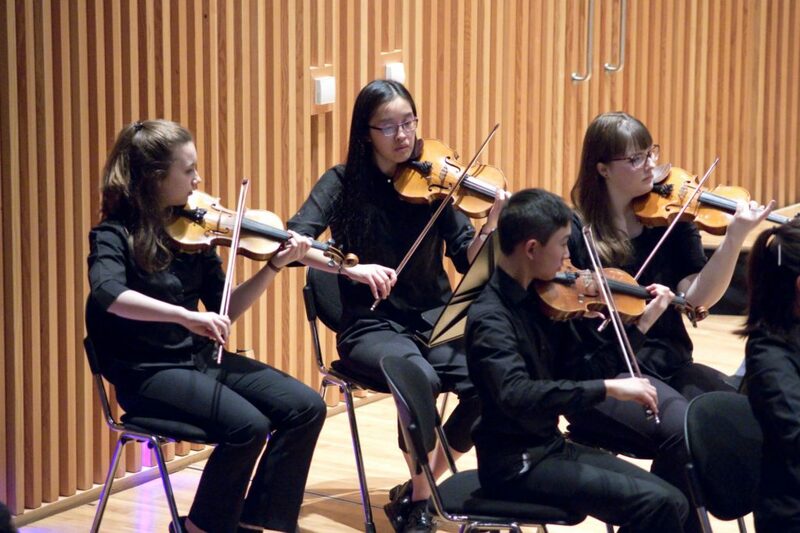 Training String Orchestra is a non-auditioned ensemble open to all string players. 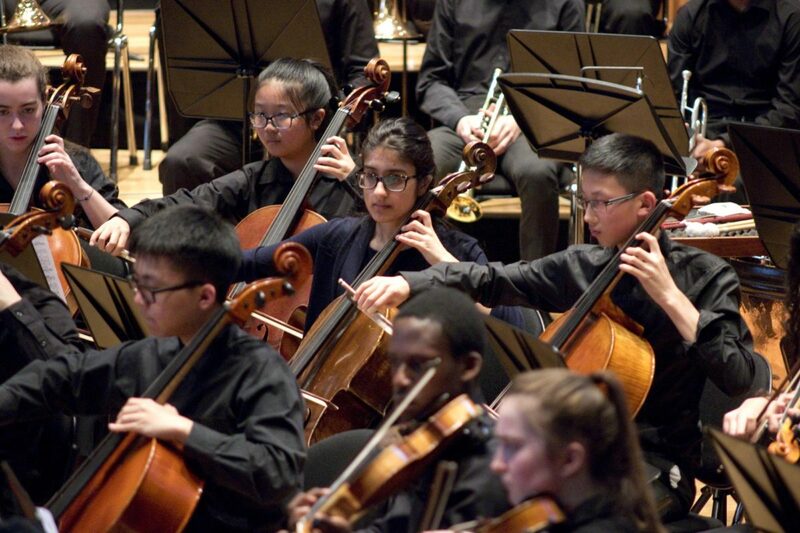 Performing fun repertoire, pupils from both schools are encouraged to play fluently and are familiarised with the skills of orchestral playing. 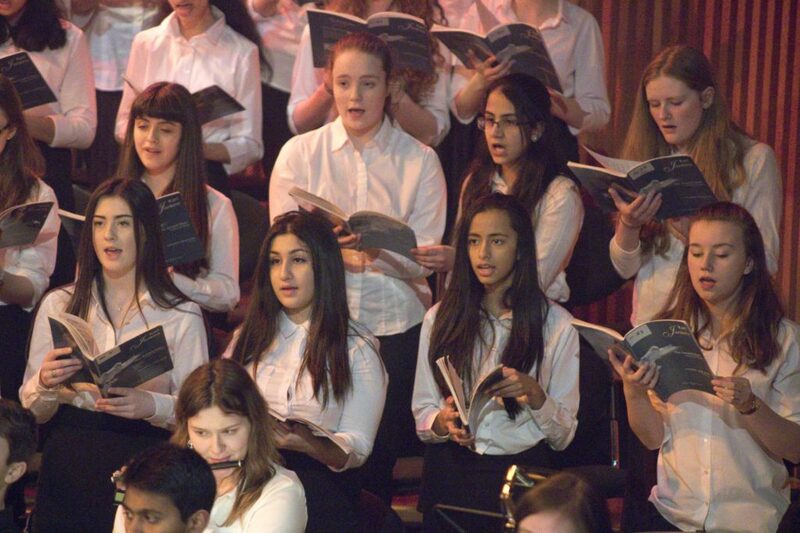 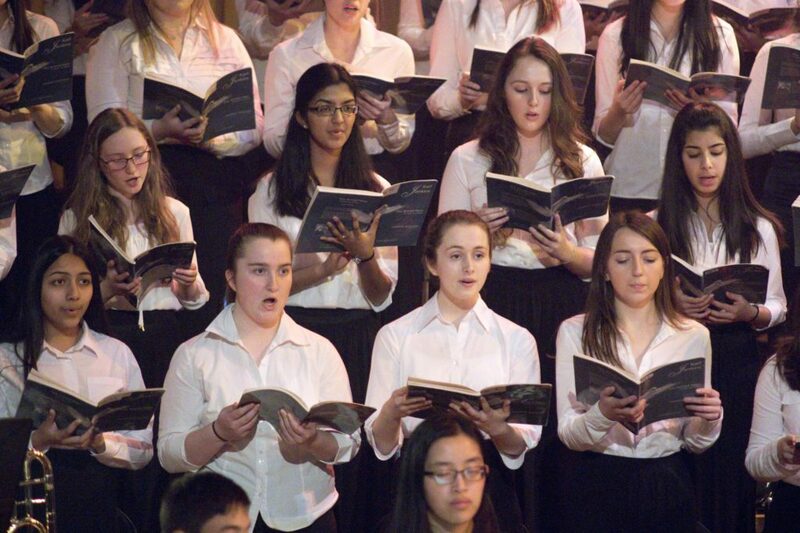 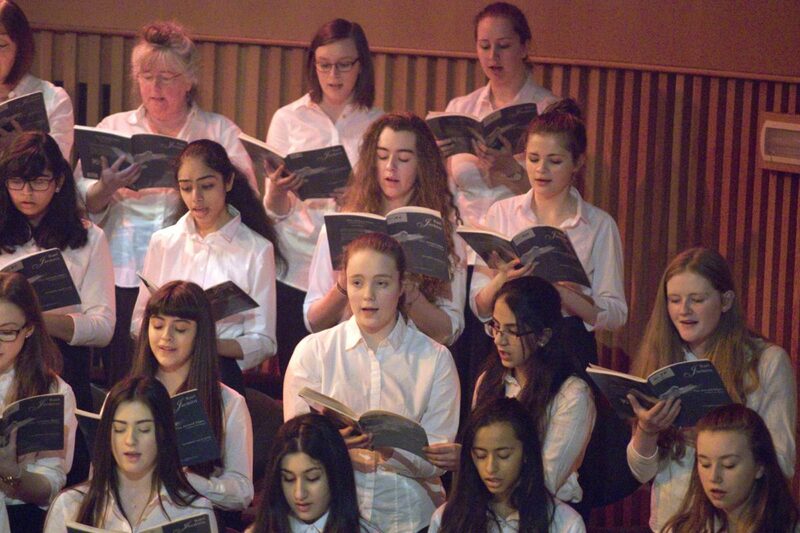 Choral Society is a 120-strong, four-part choir for pupils and staff, with sopranos and altos from KEHS and tenors and basses from KES. 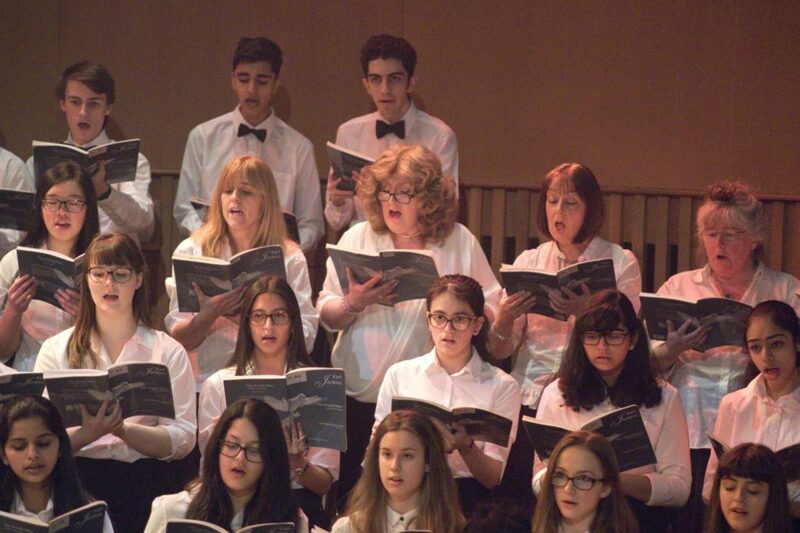 The choir often works with professional soloists, who provide a real inspiration to our choristers, and is accompanied by an orchestra. 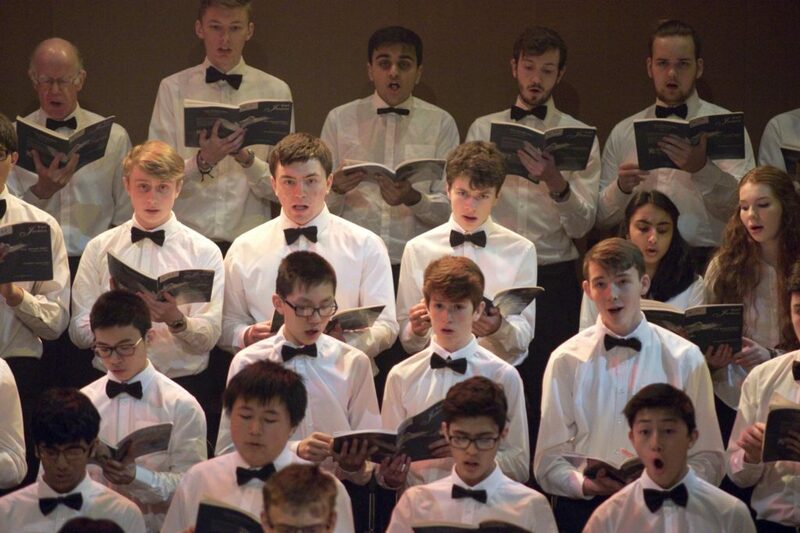 KES Choir is a hugely popular, four-part choir made up solely of boys, which has around 170 members from across all years of the School. Concert Band is a symphonic wind ensemble for experienced players, which plays a varied repertoire ranging from traditional military band marches to contemporary suites and arrangements of film and pop music. 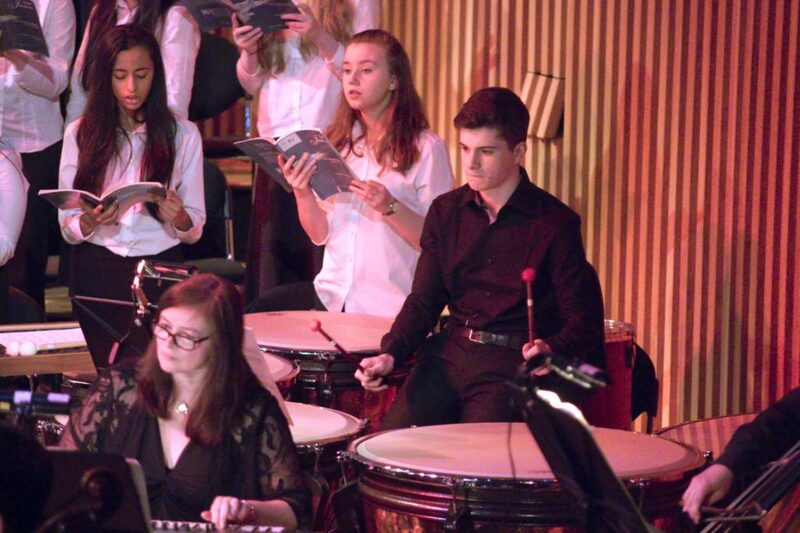 Senior Swing Band plays an exciting and ambitious mix of modern big band charts and jazz standards. 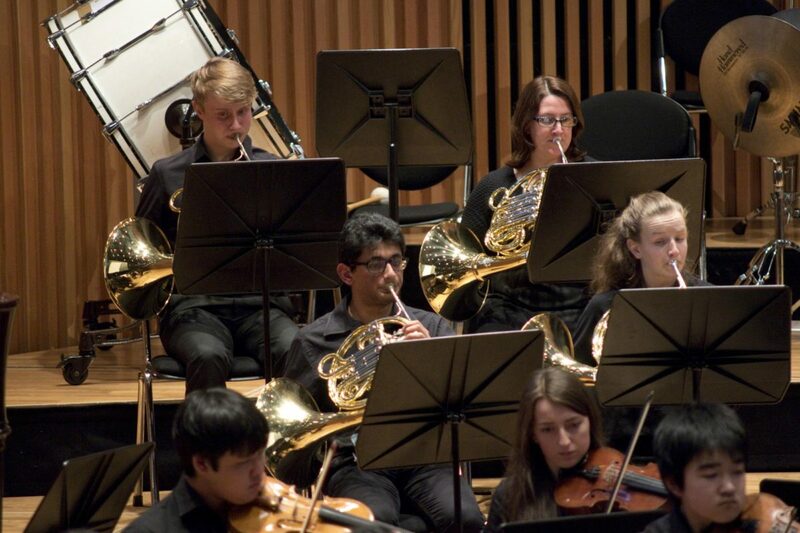 A highlight for the band is the summer Jazz Evening, for which a guest artist leads afternoon workshops, before performing with the band in the evening. 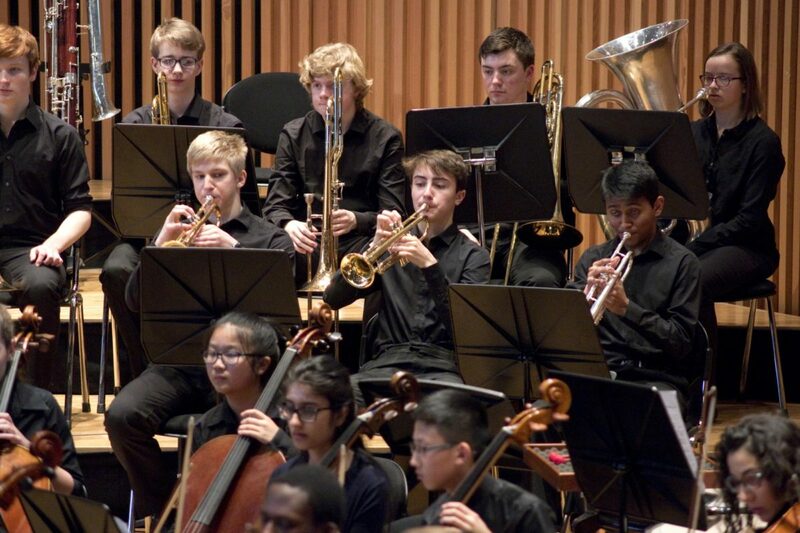 Junior Swing Band plays a mixture of classic and contemporary big band music. 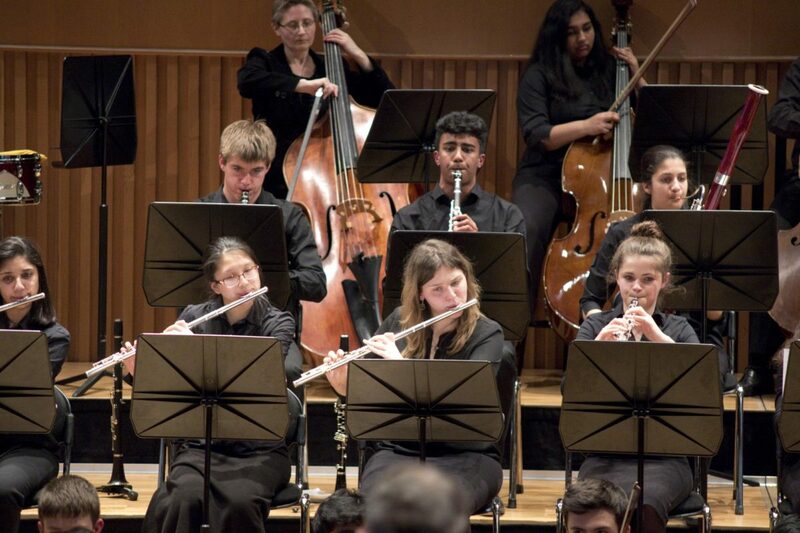 Wind Band is an ensemble for less experienced woodwind, brass and percussion players that plays a fun, modern repertoire. 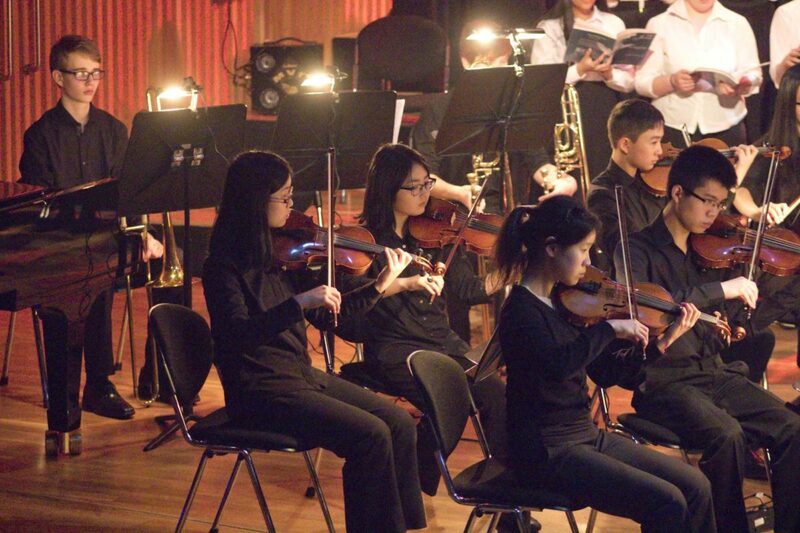 Guitar Ensemble plays original compositions and arrangements in classical, Latin, Spanish, jazz, and rock styles, as well as film themes. 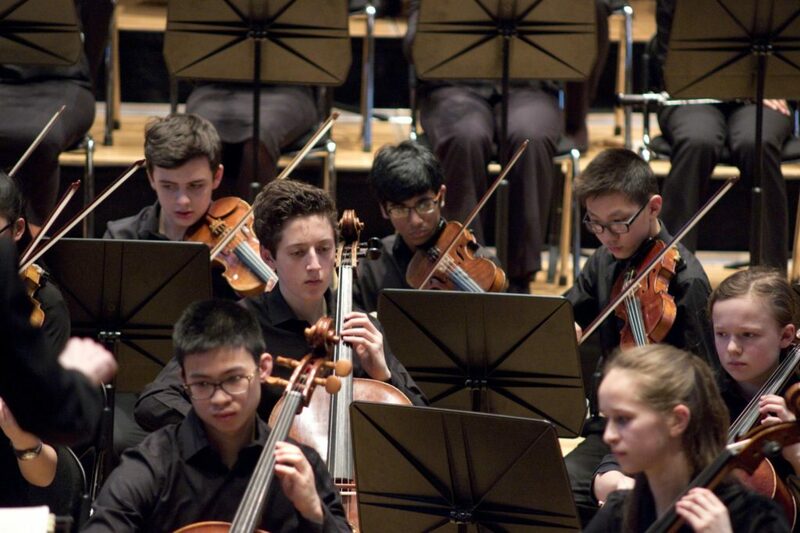 Chamber Music at KES includes string quartets, quintets, and sextets, piano trios, quartets and quintets, and wind ensembles. 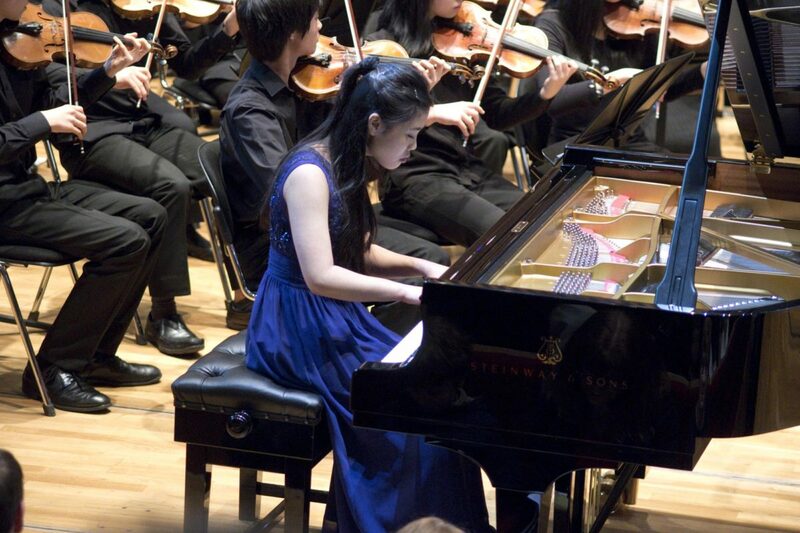 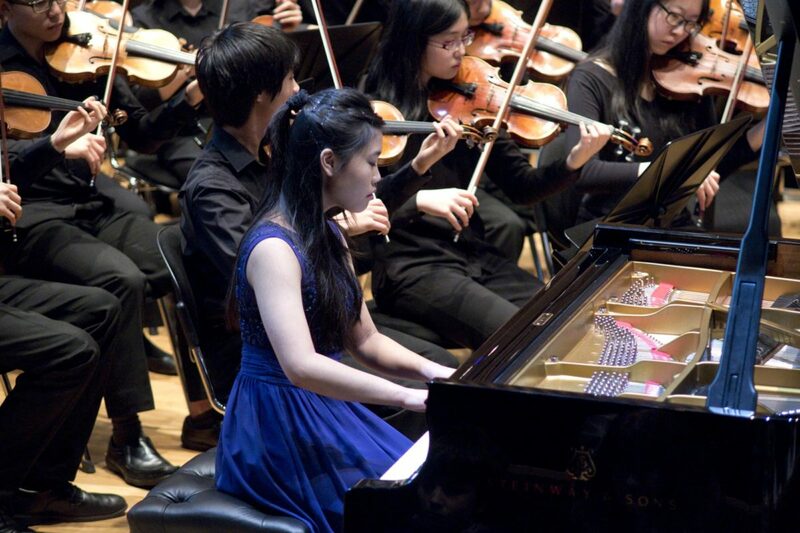 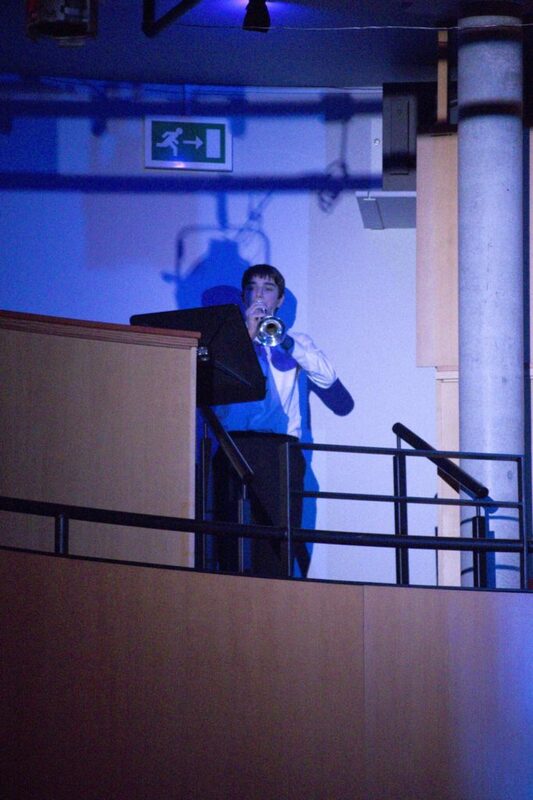 There are ensembles playing at the very highest levels, as well as those for late-developing musicians, with coaching provided to the appropriate standard of each group’s playing. 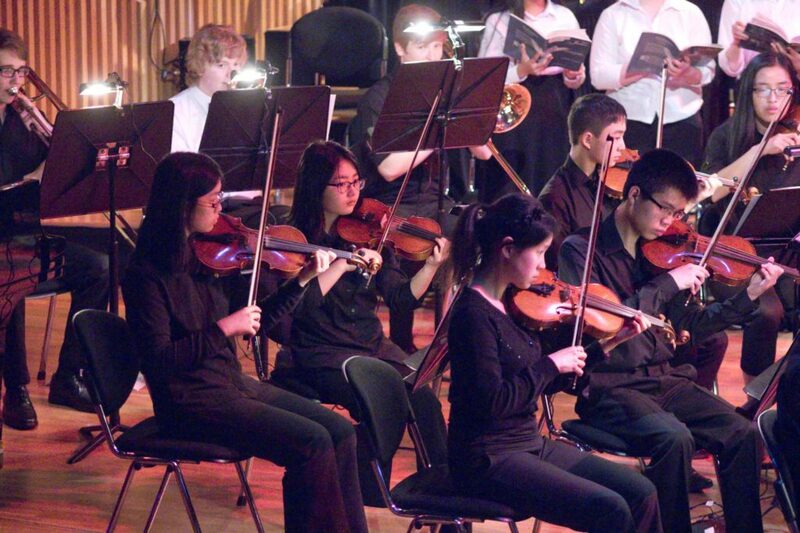 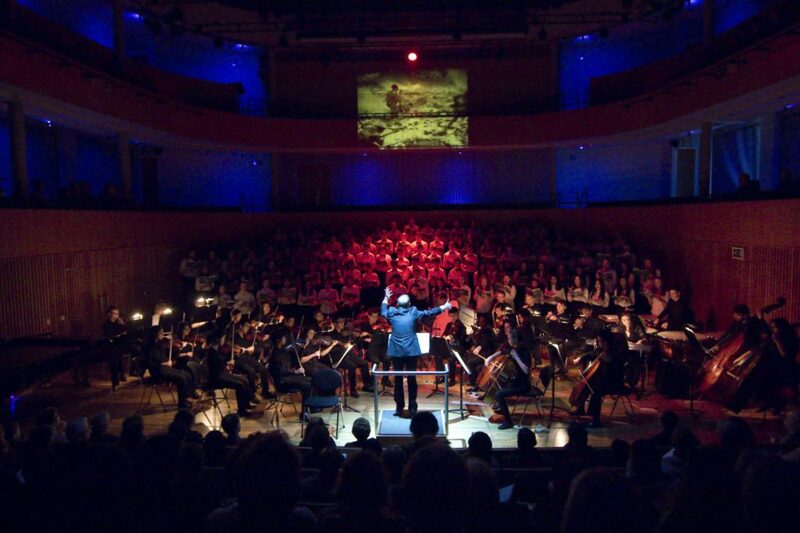 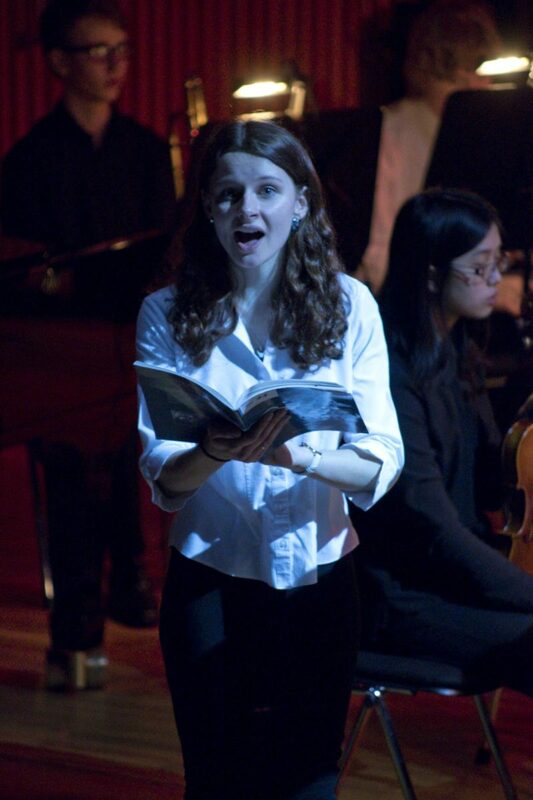 Clef Club is for composers and provides an opportunity to use Sibelius or Garageband, and to share work with others. There are two very popular House music competitions that allow boys to use their musical skills to win points for their House. 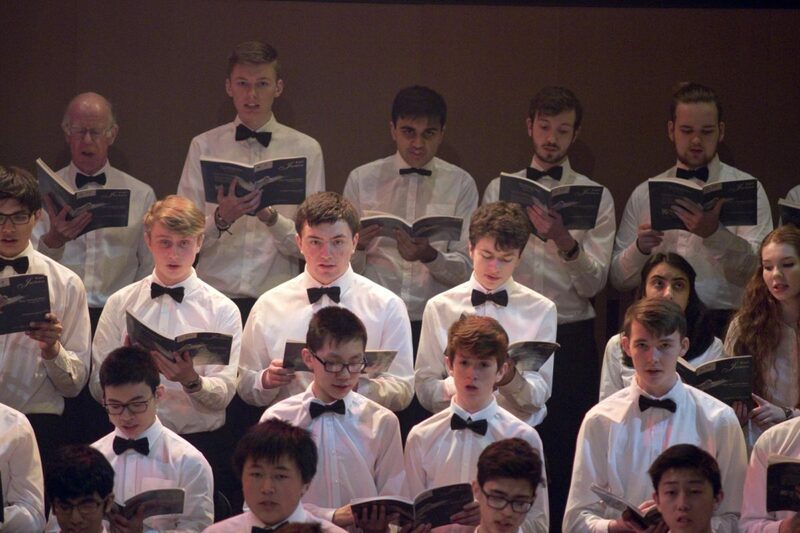 One competition is a solo recital and the other, ‘House Shout’, shows off boys’ rock music skills to a packed and enthusiastic audience in Big School. 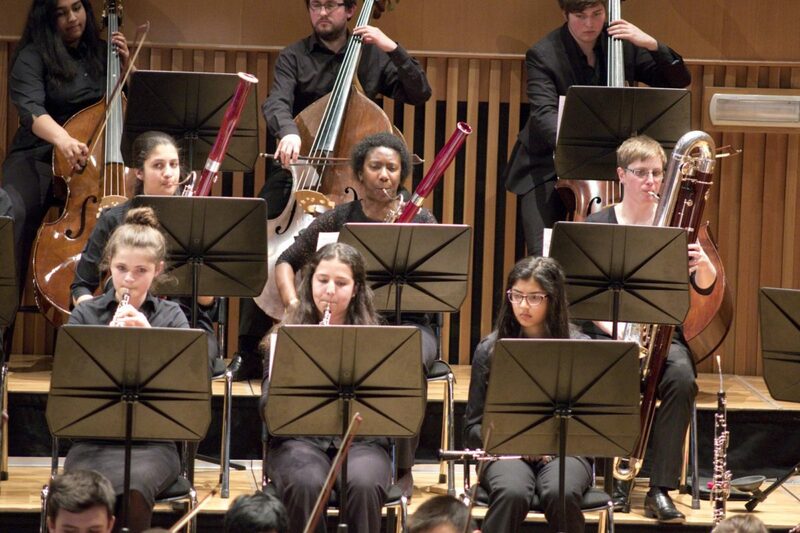 Our two swing bands go on an annual tour to around 25 primary schools. 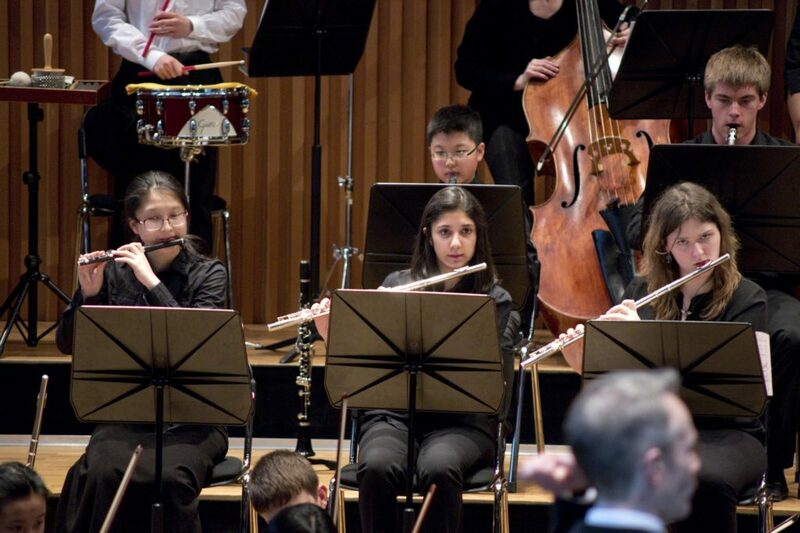 The bands work with the children and give a performance, enthusing nearly 2,000 young musicians each year.